This is a National Award for an original free-standing or wall sculpture up to 800mm in any dimension. Transverse is a finalist alongside 31 other works chosen by the selector and judge Matthew Von Sturmer. There is a Premier Prize of $3000 and a Merit Prize of $1000. 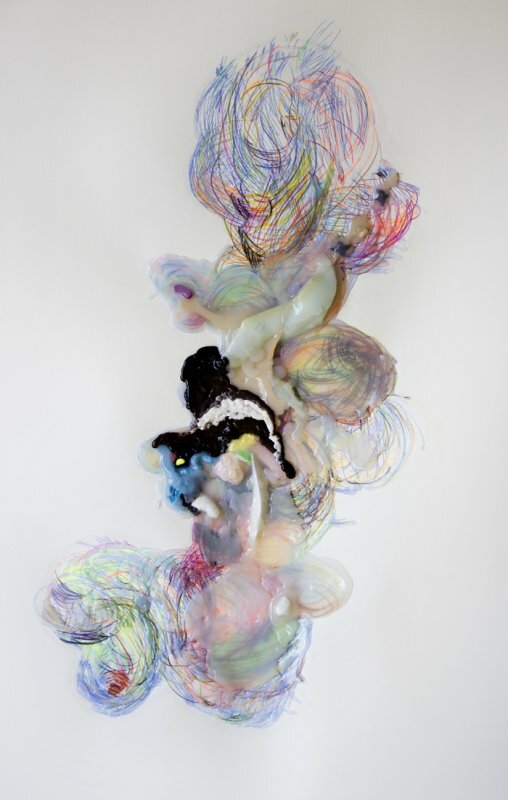 Join artist Janna van Hasselt and have some fun with wire! Janna will lead workshops responding to the works in Peter Robinson's Fieldwork exhibition. 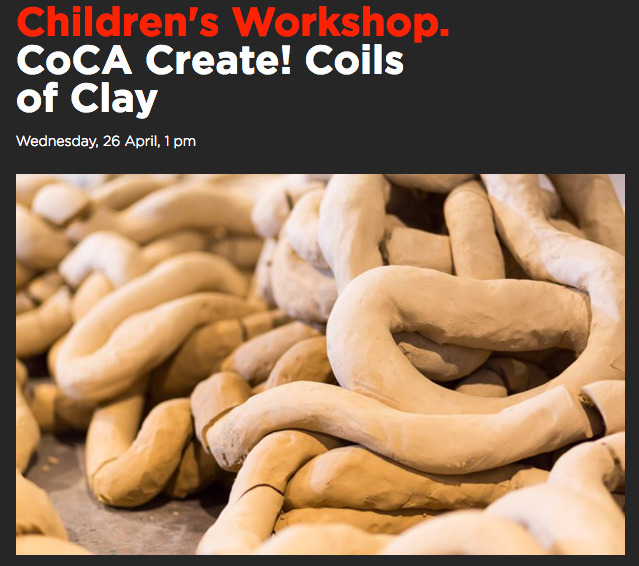 Kids will create something to take home and will work together on a larger sculpture to stay at CoCA! 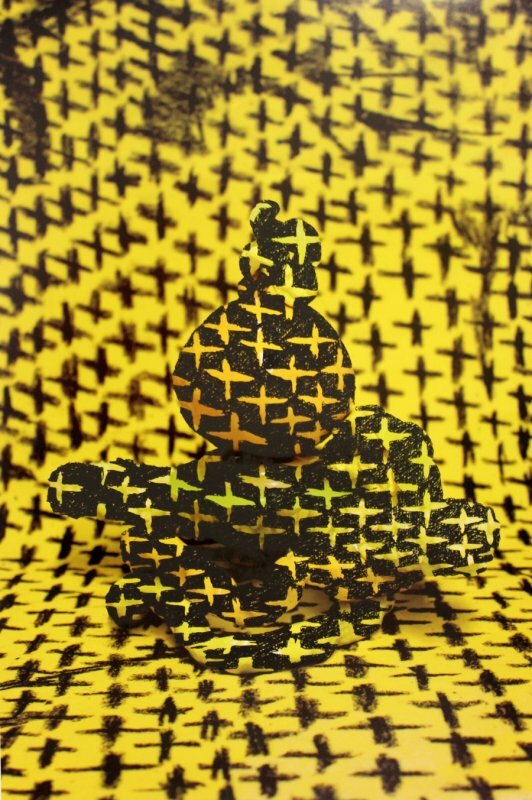 This award exhibition presented by The Zonta Club of Ashburton in partnership with the Ashburton Art Gallery showcases the works of emerging and mid-career female artists based in Canterbury. 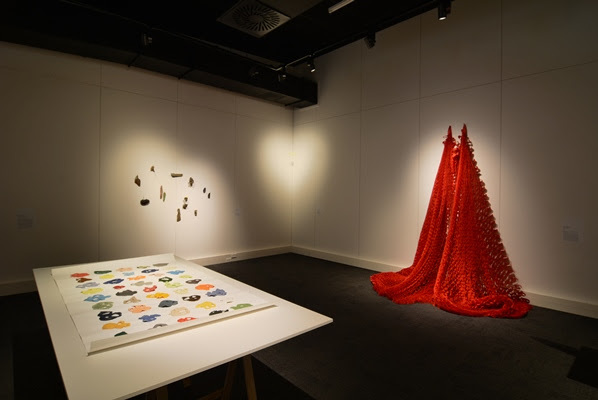 Flakeskin has been selected as a finalist as one of 29 other works vying for the Premier Award; and 3 further artists are eligible for the Young Generation Award. Plaidskin has made the cut for the 2017 Portage Ceramics Awards (and features on the cover of the exhibition catalogue). The judge this year is Whanganui-based writer and curator Emma Bugden. Peoples' Choice Award: Kiya Nancarrow. Two and three dimensions collide in an explosion of exuberant colour and pattern; Humdrop is a psychedelic feast for the eyes! A group exhibition featuring Kate Banazi, Annie Sandano, Sarah Williams, Janna van Hasselt and Tevita Sung. 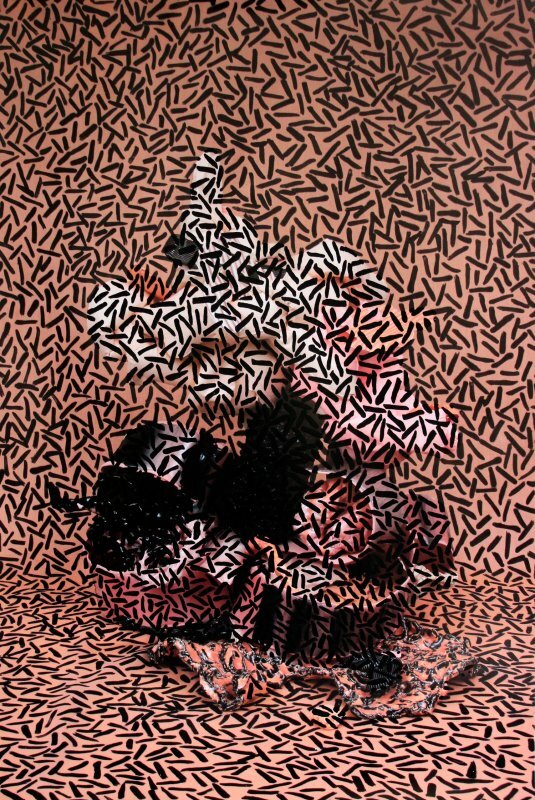 Taking Shape brings together a group of artists concerned with geometry; manipulating the properties and relations of points, lines, surfaces and figures in space to captivating effect. My work Sprinkle Spool has been selected as one of 84 finalists in the 2017 Parkin Drawing Prize. The judge is New Zealand painter Seraphine Pick who will select the winner to be announced on August 1 at the gala opening. With CoCA Create! 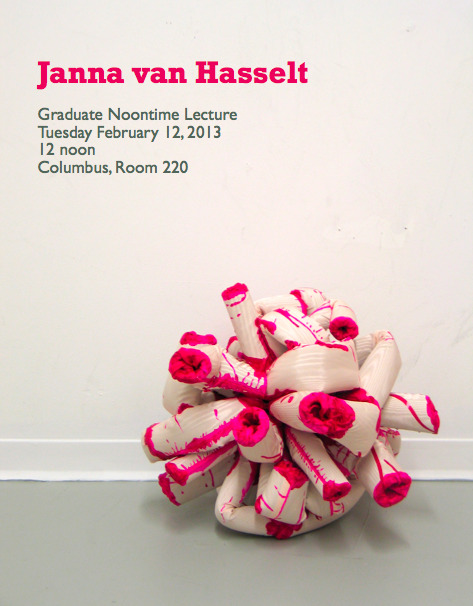 and artist Janna van Hasselt, learn how to coil-build and extrude clay to create sculptures inspired by David Shrigley: Lose Your Mind. Crimp makes the cut in the 2017 Small Sculpture Award. The judge this year is Dr Zara Stanhope, Principal Curator at Auckland Art Gallery Toi o Tamaki and Adjunct Professor at AUT University, Auckland. 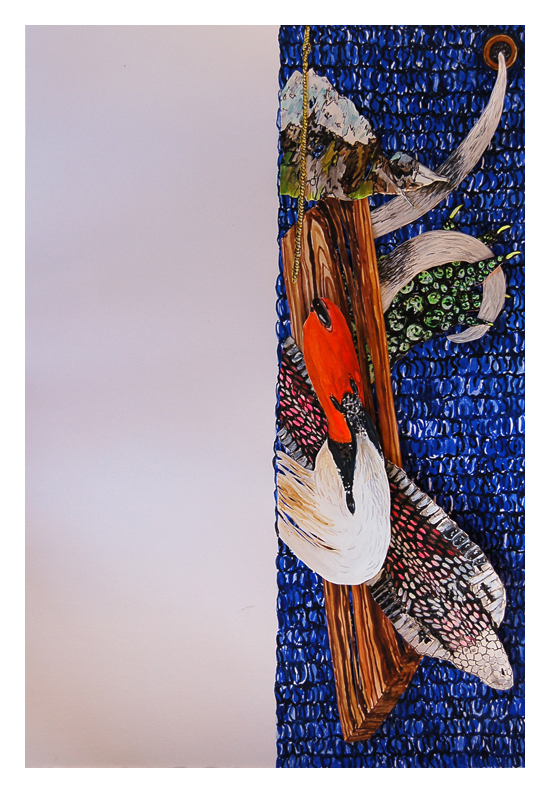 Peacock Flounder has been selected as a finalist in the 2017 Molly Morpeth Canaday Award: Painting and Drawing. It is an honour to be a part of the exhibition of 80 finalists as chosen by Judge Felicity Milburn, curator at Christchurch Art Gallery. Te Kōputu a te whanga a Toi The Whakatane Library and Exhibition Centre. 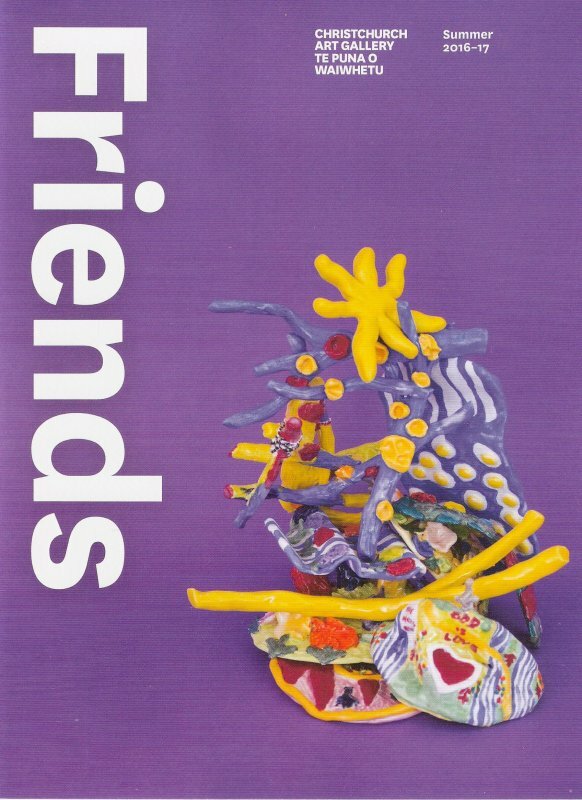 A stack of my Being Nice is Easy pieces features on the cover of the 'Friends' insert in the Summer 2016-17 Christchurch Art Gallery Bulletin. My work Underbelly has received an Honourable Mention in the 2016 Portage Ceramic Awards. 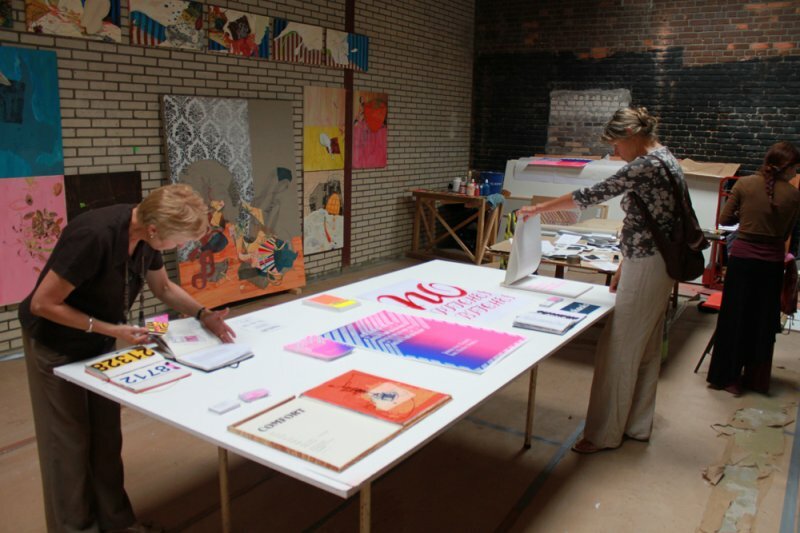 The exhibition of finalists selected by judge Janet de Boos runs through till February next year. My proposal was selected for SCAPE Public Art's 2016 ReACTIVATE series, curated by CoCA director Paula Orrell. 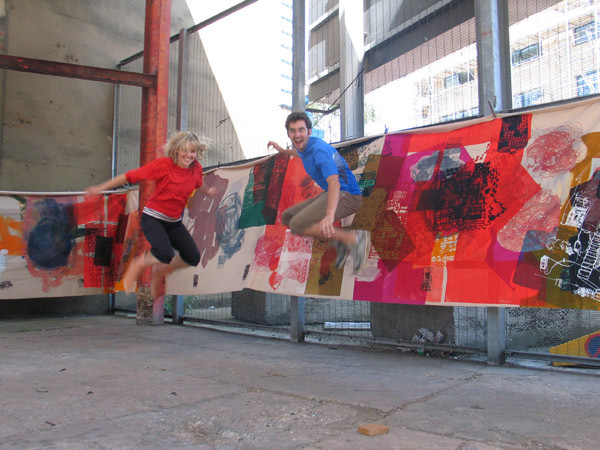 Buzz Carpet is an interactive ground mural which truly engulfs its site. 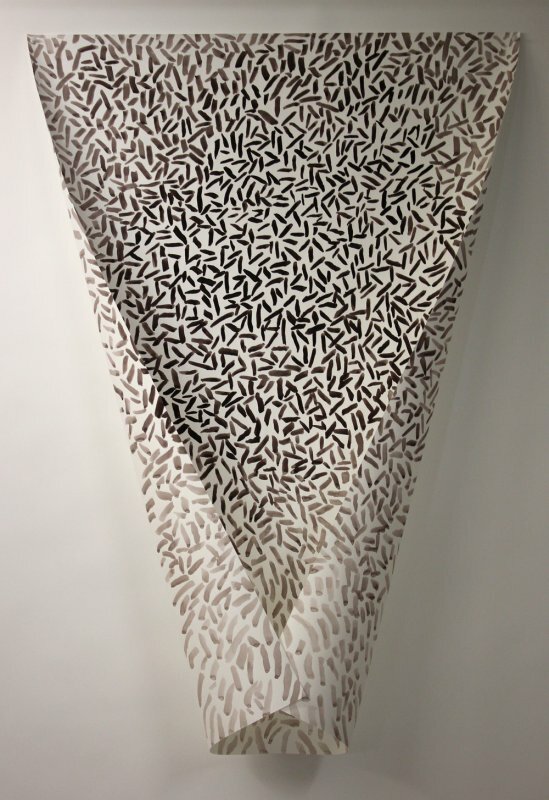 A ludic tension between the planar and dimensional spaces creates a skin with an ambiguous sense of figure and ground. The pattern is derived from the stitches in crochet and mimics the makeup of surrounding building sites that form its backdrop. 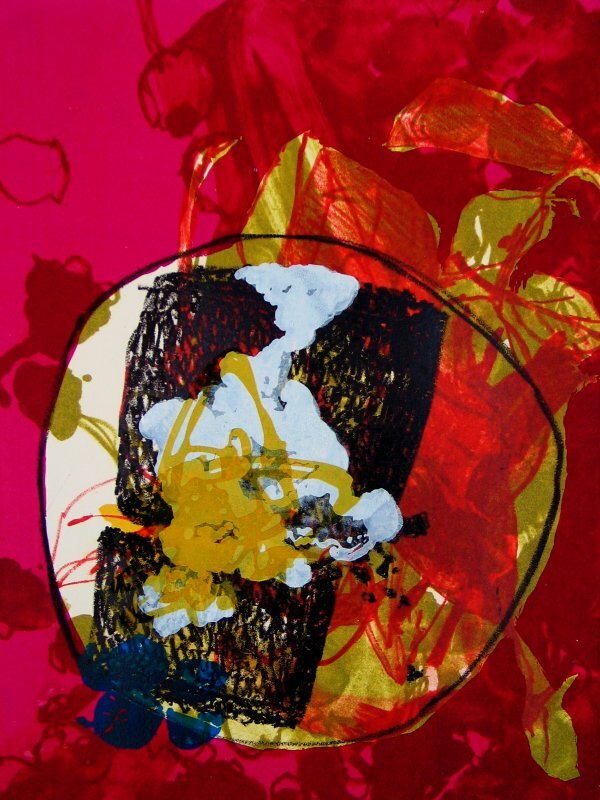 Visitors can engage directly with the piece on many different levels and will be dazed by its intense colour buzz. 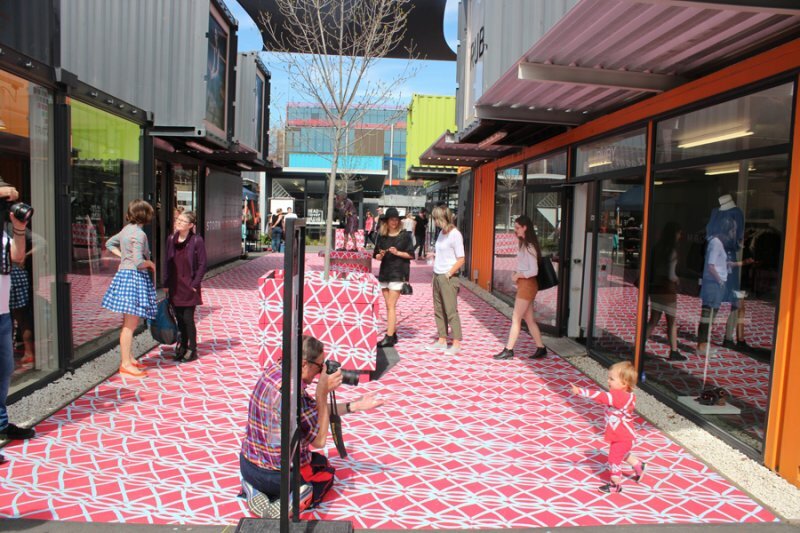 Thanks to Paula Orrell, Deborah McCormick, Harley Peddie, Fulton Hogan, ReSTART Mall and Placemakers Riccarton. Is this simple enough Polly? has been selected as a finalist in the 2016 Molly Morpeth Canaday Award 3D. 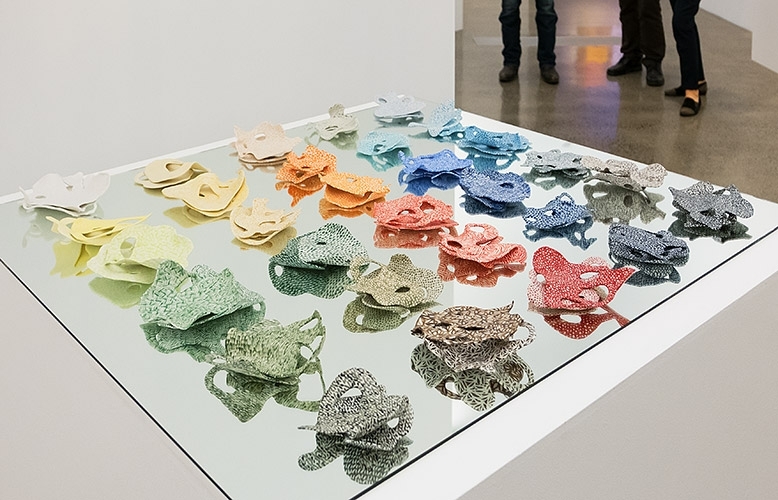 Presented by Whakatāne Museum and Arts, The award has been established to encourage and recognise the quality of creativity found in the area of three-dimensional applied arts, including sculpture. The Whakatane Library and Exhibition Centre. I'm exhibiting in Canberra alongside three other artists who have recently become Mums for the first time; Anne-Marie Jean, Dionisia Salas and Rachel Fairfax. 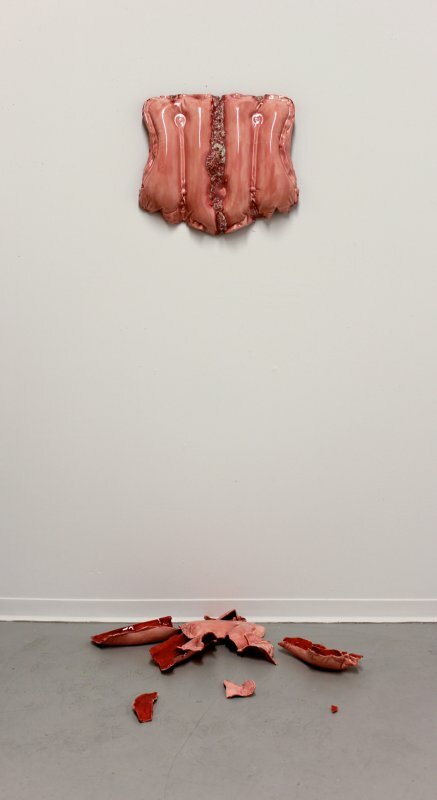 The exhibition explores the parameters of creative practice in the context of new motherhood. 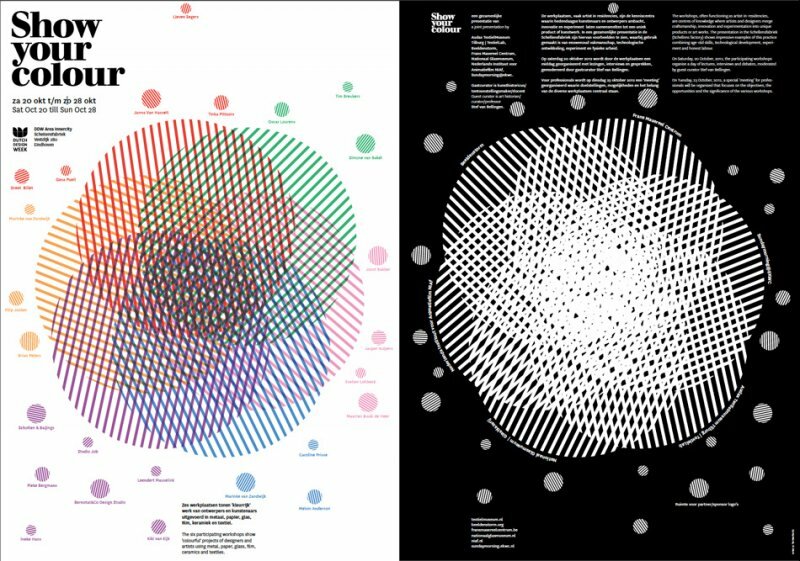 Issues of time, energy, identity, relationships, space, money, responsibility and creativity were grappled with and impacted the resulting bodies of work. This exhibition facilitates and illuminates the ongoing development of creative practice by each individual artist and created support, motivation, direction and collegial dialogue. 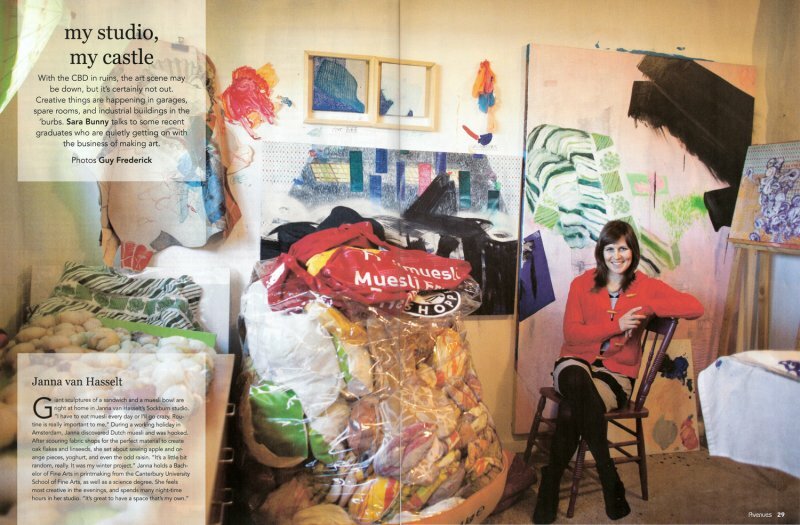 In the spring of 2014, I was fortunate to travel around a number of environments created by artists working outside the mainstream art world. Having previously studied the works purely through slides and writings, it was a joy to be able to experience the works and their unique settings in the flesh. 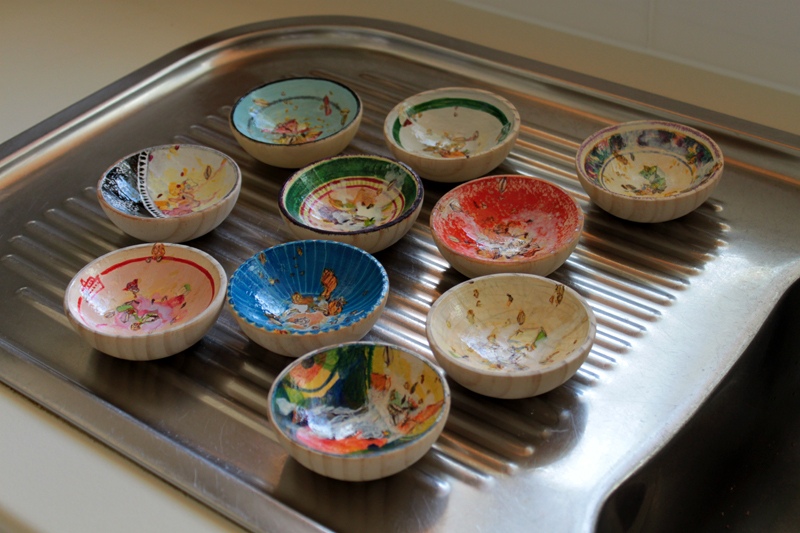 These ceramic works were created on my return to Christchurch based on photographs and drawings from my trip. 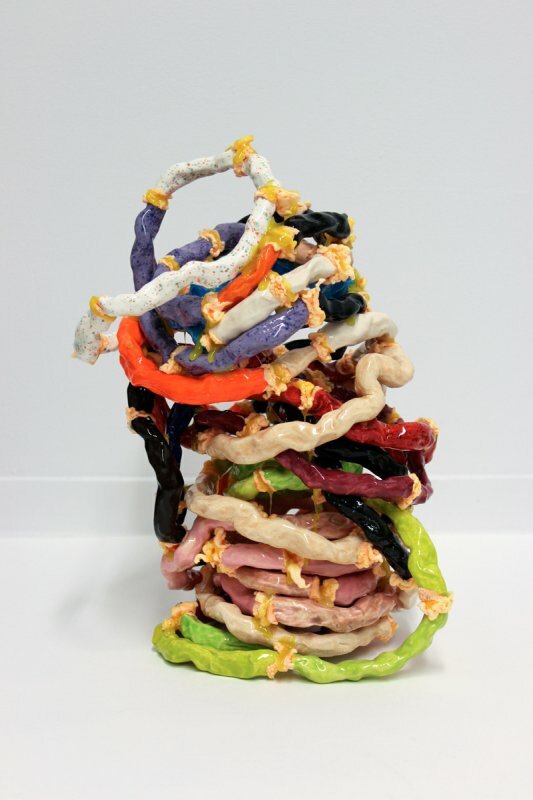 All 70 pieces go on show at Seed Gallery as part of a group exhibition of new sculpture alongside works by Richard Kearney, Andrea du Chatenier and Ada Leung. This project was made possible with the help of a Roads Travel Scholarship from the School of the Art Institute of Chicago as well as advice and encouragement from Lisa Stone and Jim Zanzi from The Roger Brown Study Collection. I am very excited to announce that Counter Top has made the cut as a finalist for the 2015 Portage Ceramic Awards. 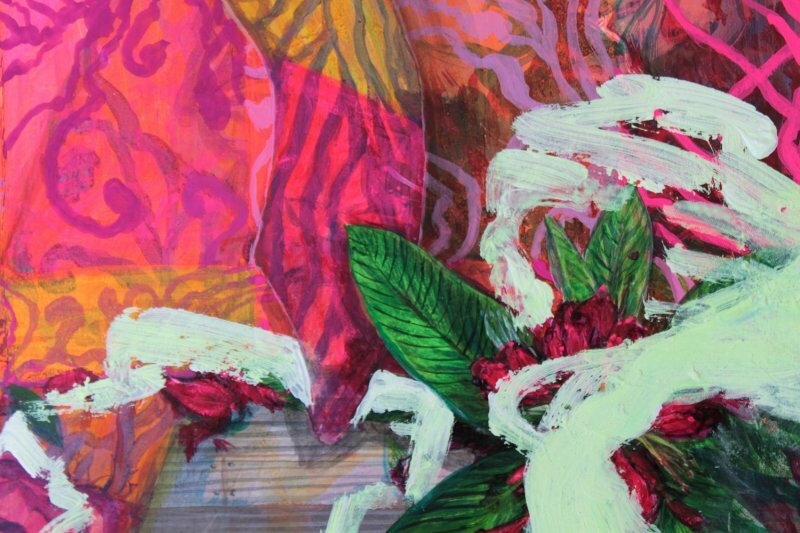 All selected works will be on show at Te Uru Waitakere Contemporary Gallery from 13 November 2015 - 7 February 2016. The awards evening is on 12 November 2015 at 5.30pm. The 2015 judge is Ingrid Murphy; an Irish ceramic artist whose focus on new media is creating radical new ways to work with clay. I have two works on show at Seed Gallery as part of their spring group exhibition showcasing new sculpture. Featuring: Janna van Hasselt, Rebecca Wallis, Veronika Maser, Nuala Gregory, Richard Kearney, Louise McRae, Ainsley O'Connell and Stafford Allpress. 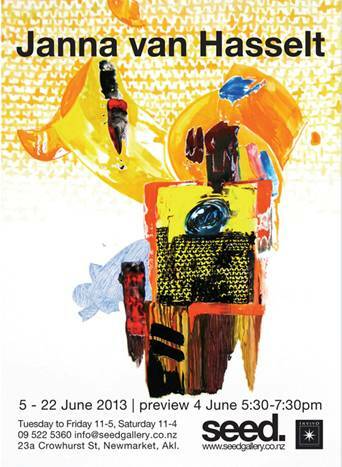 Gallery 33 is holding a group exhibition celebrating colour. I'm showing a variety of works alongside Richard Adams, Christina Popovici and Ellie Gray. I'm delighted to be in a group show celebrating colour, movement and playfulness with John Pusateri, Tevita Sung, Annie Sandano and John Appleton. 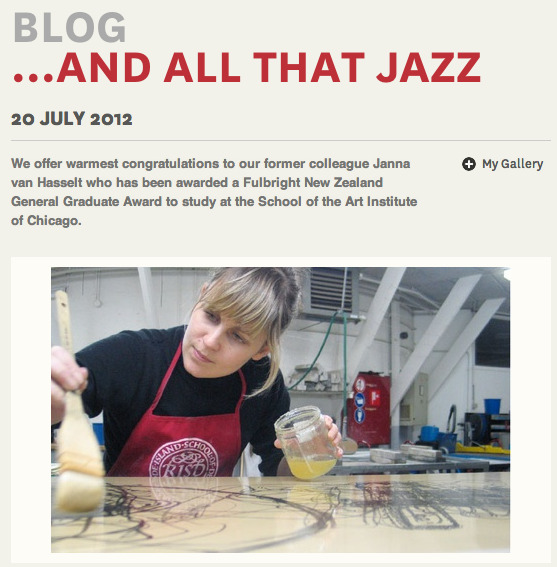 Come and check out some ceramics and photographs created in Chicago during my MFA. 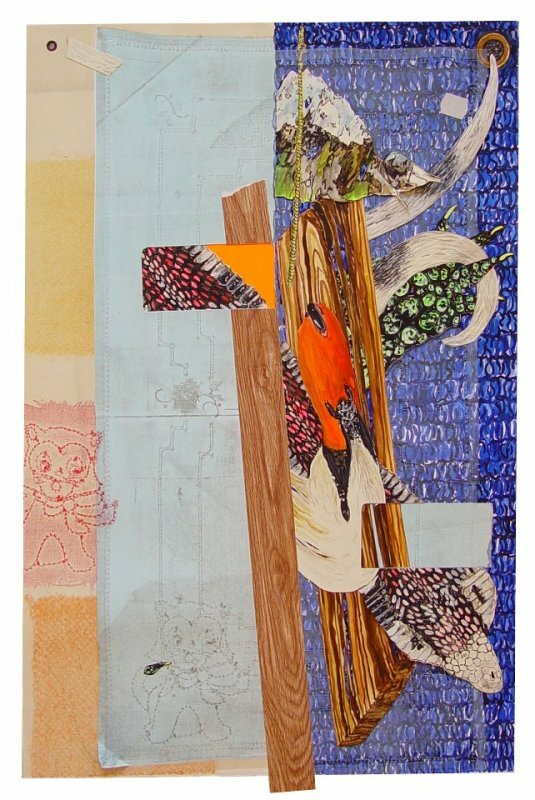 Paradise opens at Seed Gallery on Tuesday June 2, 5-7pm. 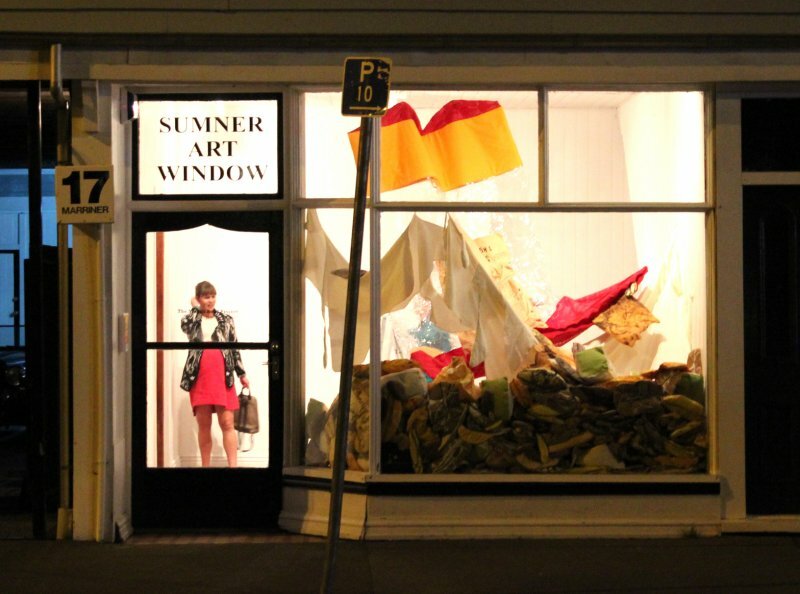 It's my pleasure to announce the fourth installation of The Muesli Bowl Project - this time in the Sumner Art Window. This will be the very last exhibition in the space, and I'm honoured to be the ultimate artist to utitlise this wonderful window - thanks so much Paul! 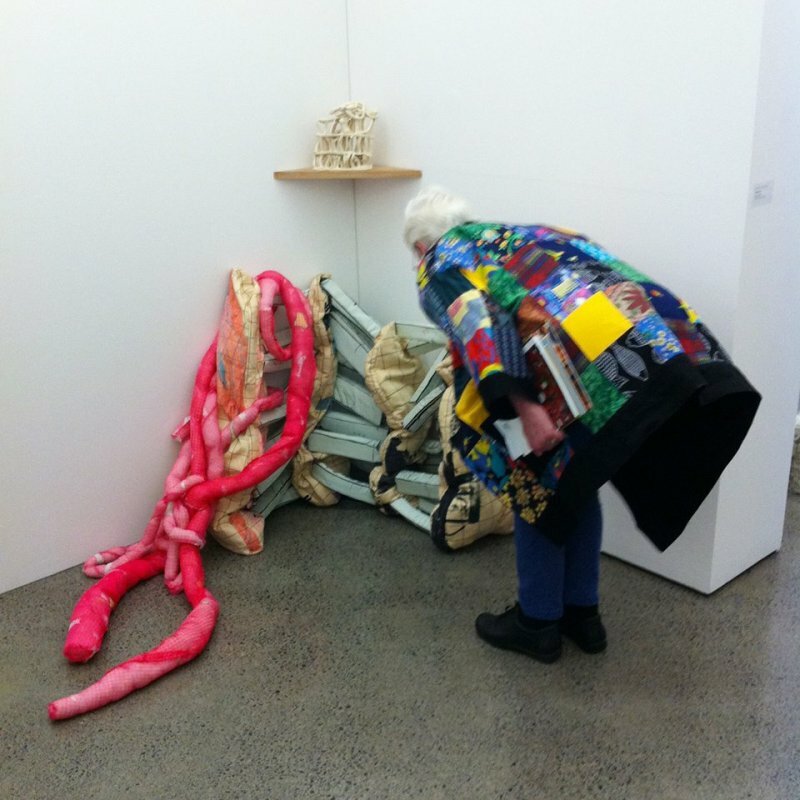 Judge Dr Anne Kirker has selected my piece Babel Leaning Tatlin for the 2015 New Zealand Painting & Printmaking Award! The winner will be announced on February 13 at the awards ceremony. Lush has won the 2014 Walker & Hall Waiheke Art Award! Huge thanks to Walker & Hall, Waiheke Community Art Gallery staff and my sister-in-law Sarah Peddie for accepting the award on my behalf. World-renowned ceramicist and teacher Takeshi Yasuda has selected my slip cast piece Relax ‘n’ Read as a finalist in the 2014 Portage Ceramic Awards. It is an honour to exhibit alongside the top ceramic artists in New Zealand, especially Dunedin artists Madeleine Child and Blue Black. Another of my ush series pieces has made the cut...this time Lush has been selected as a finalist in the Walker and Hall Waiheke Art Award! 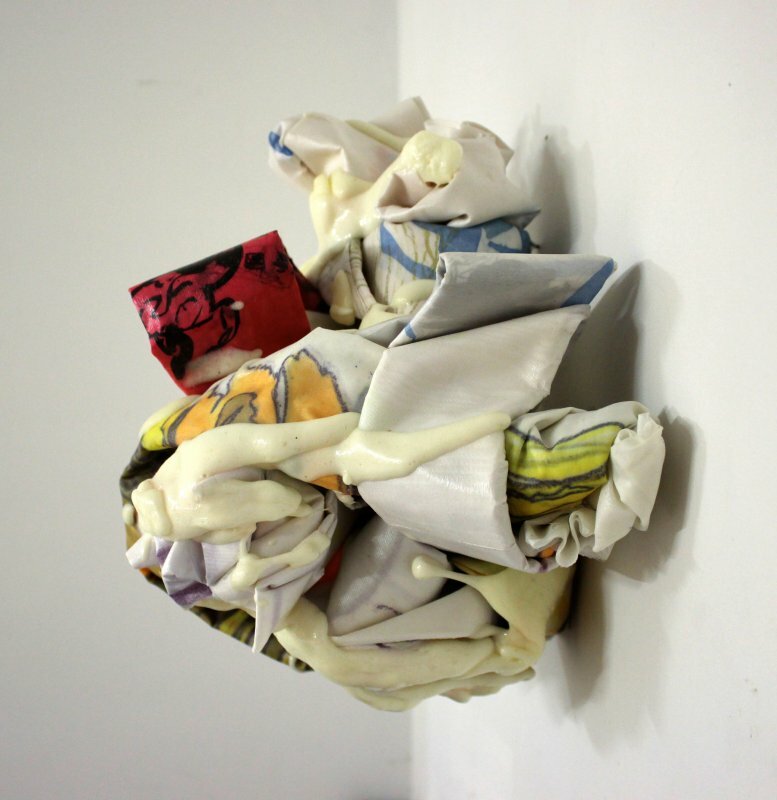 This is a national award for two-dimensional artworks in any medium. Ian Jervis (Senior Lecturer in Visual Arts at AUT) is the selector and judge. 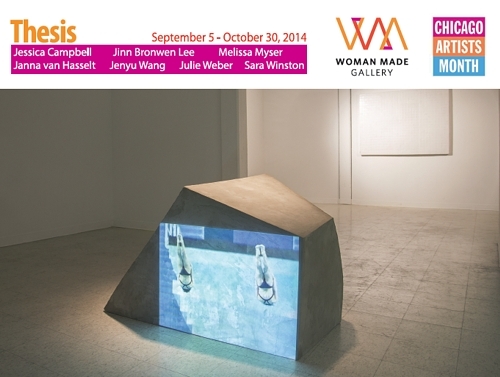 Exhibition runs: October 25 - November 17, 2014. Award ceremony October 25, 5pm. 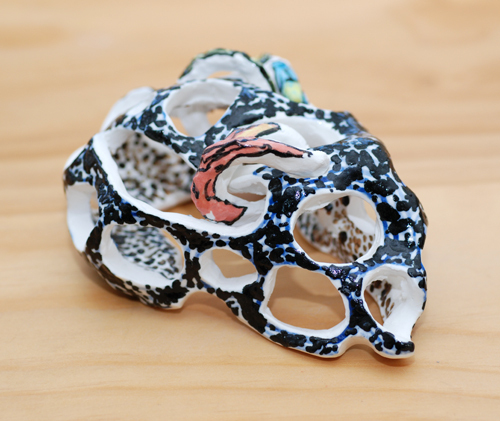 Five ceramic pieces from my thesis show are included in a group exhibtion featuring work by seven 2014 woman graduates from MFA programmes in Chicago. 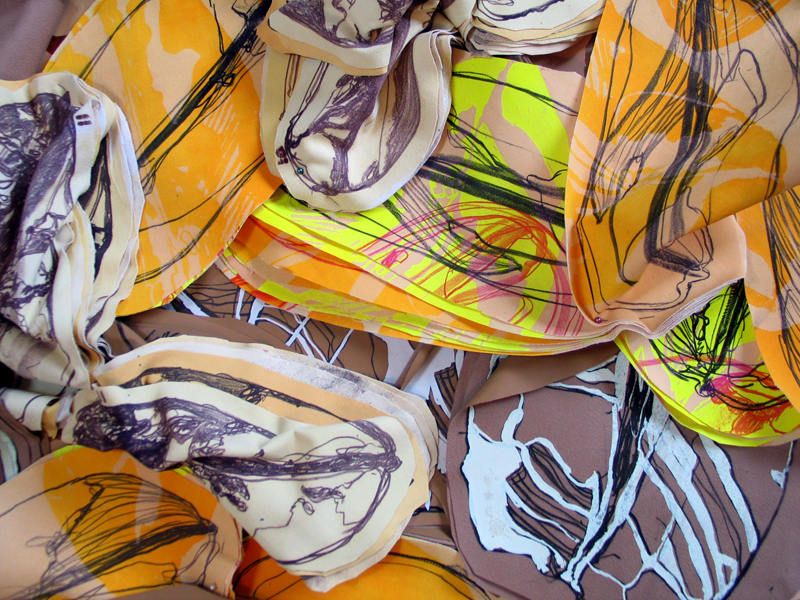 The show is curated by Emanuel Aguilar in collaboration with Ruby Thorkelson. I'm delighted to show alongside: Jessica Campbell, Bronwen Lee, Melissa Myser, Janna van Hasselt, Jenyu Wang, Julie Weber, and Sara Winston. Take a look at the gallery page for images of all works. 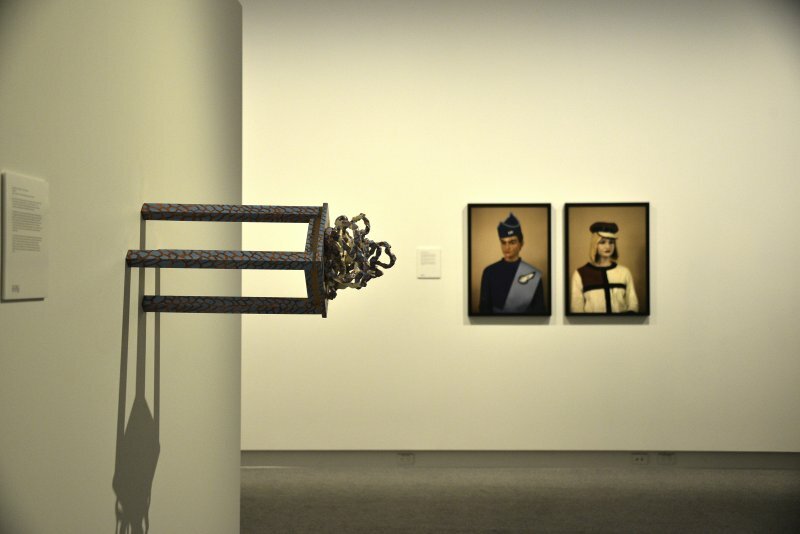 Rush has been selected for the 2014 National Contemporary Art Award! Check out the exhibition catalogue to see all 52 finalists' works. I'm in a two-woman show with the talented Louise McRae! 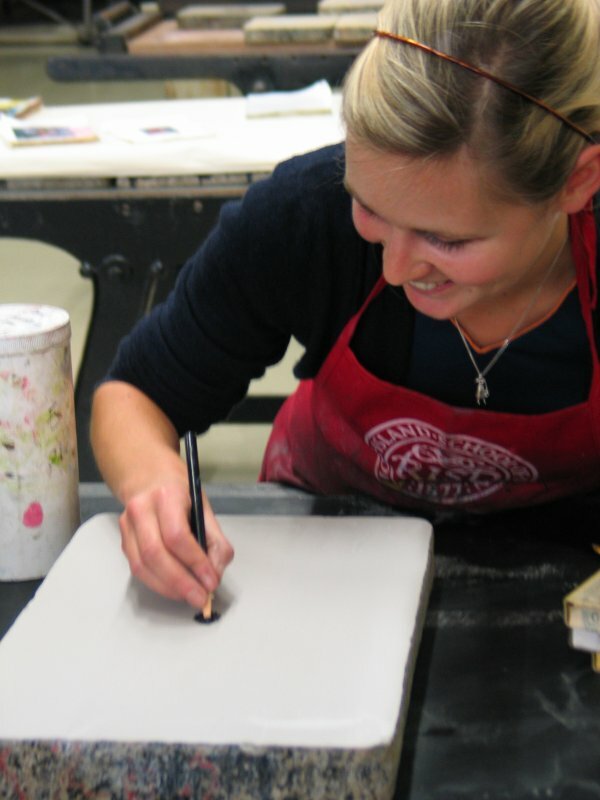 After four intense semesters at the School of the Art Institute of Chicago, I've finished my Master of Fine Arts! The MFA Show showcases work from just over 100 graduates from the MFA programme in collaboration with curatoratorial teams of students lead by three guest curators. 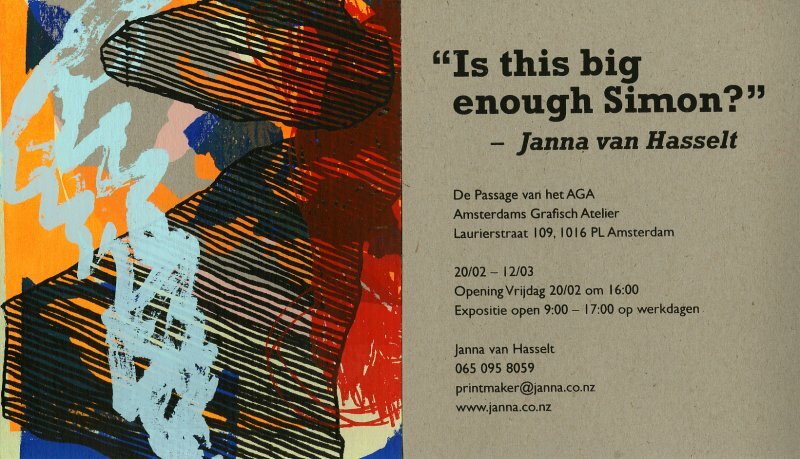 Here it is: your chance to own the latest exuberant and invigorating 'Janna van Hasselt' work on paper. I am very excited to announce that my recent ceramic piece Sprinkles are always OK has been selected as a finalist for the 2013 Portage Ceramic Awards. This is a special work for me as it a resuscitation of broken pieces from Chink, a stack of glazed ceramic rings (sometimes referred to as doughnuts) which collapsed overnight in my studio. 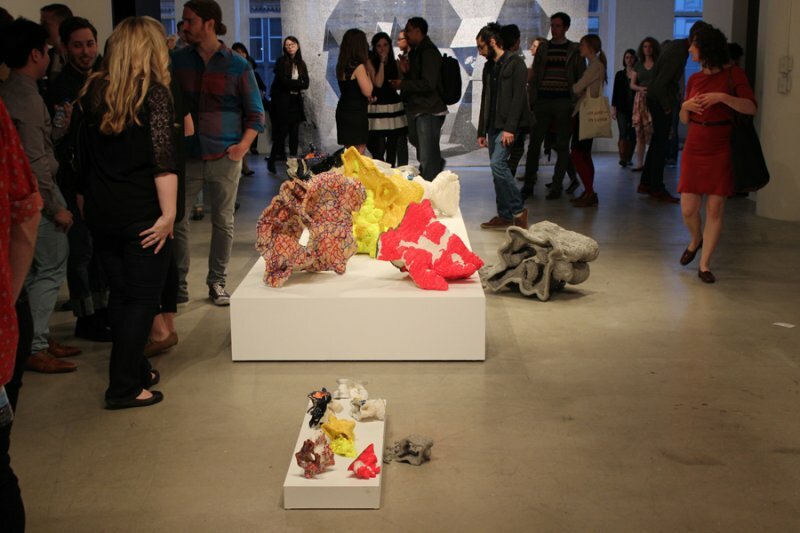 As part of our MFA programme, SAIC graduate students present two lectures to peers and faculty. 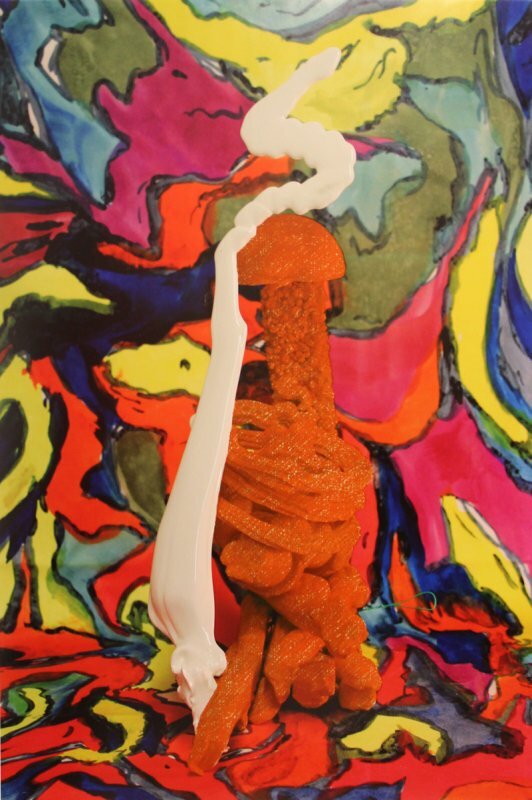 Dairy-Free has been named in the shotlist of 120 from 800 entries for the inaugural Parkin Drawing Prize. 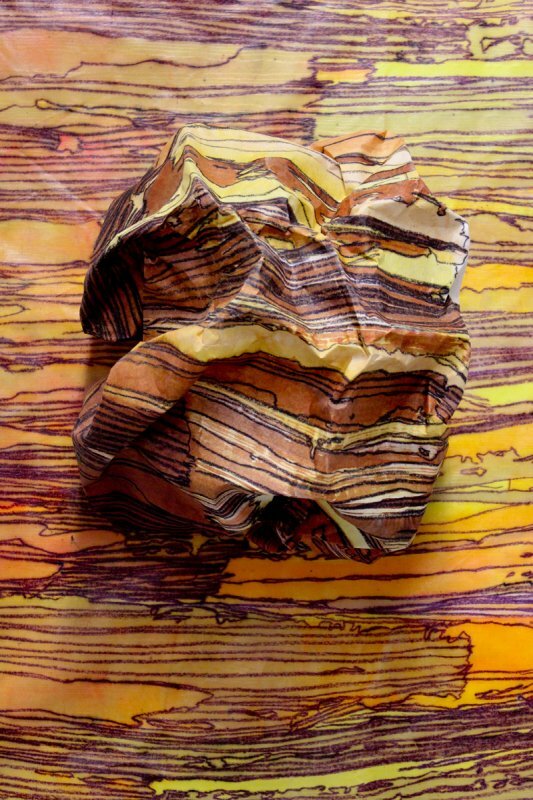 The Parkin Prize is valued at $20,000 and is New Zealand’s premier award for drawing. 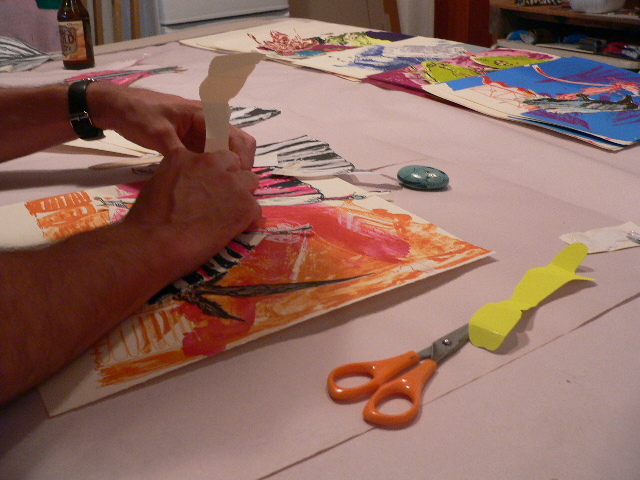 It promotes drawing in all its forms – as discovery, a testing of ideas, and decision making. I'm exhibiting a series of 14 drawings created during the first year of my MFA at The School of the Art Institute of Chicago. I'm delighted to be part of this group exhibition curated by our Printmedia Graduate Coordinator Kristina Paabus and Aimee Beaubien. 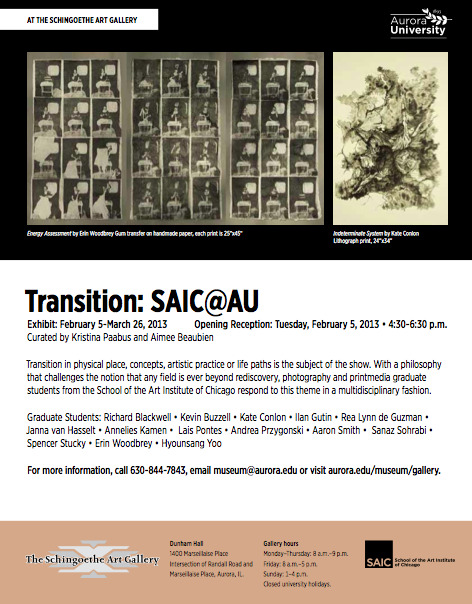 The show features work from first year SAIC Photography and Printmedia graduates and is hosted by Aurora University. Opening Reception: Tuesday February 5, 4:30-6:30pm. Just 2 short months into MFA study and it's time to show the Chicago locals what we've been up to! 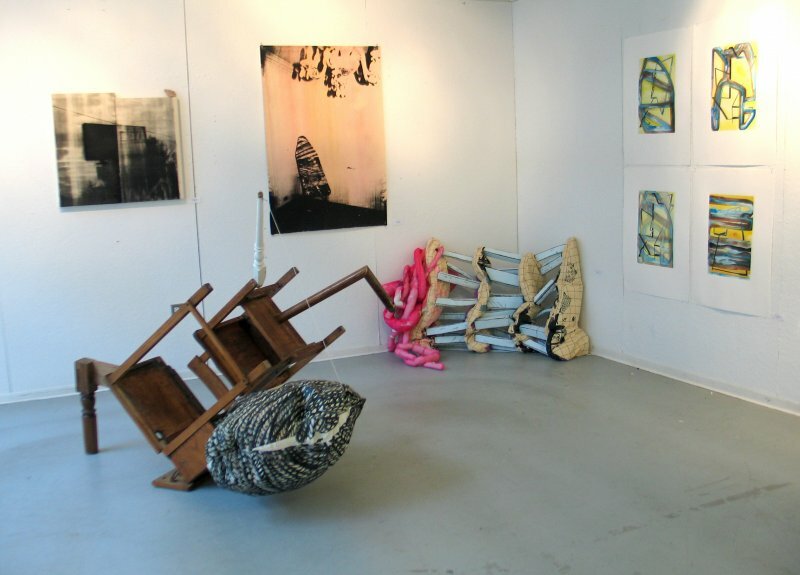 SAIC MFA Open Studios is on Friday November 9, 2012. Our Sullivan Studios will be open between 8:45 and 10pm. 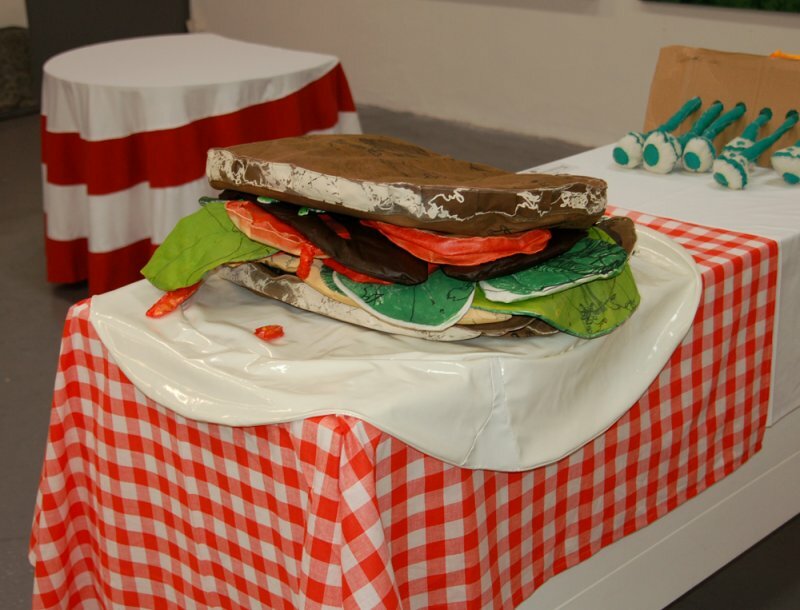 Our Printmedia graduate class reps Annie and Annelies have also curated a group exhibition for the event, and my soft sculpture Counter Top will be on show (pictured here in the corner alongside works by Annelies Kamen, Drew Peterson, Rose Sexton and Kevin Goodrich). 36 S Wabash Avenue Chicago, IL, United States. 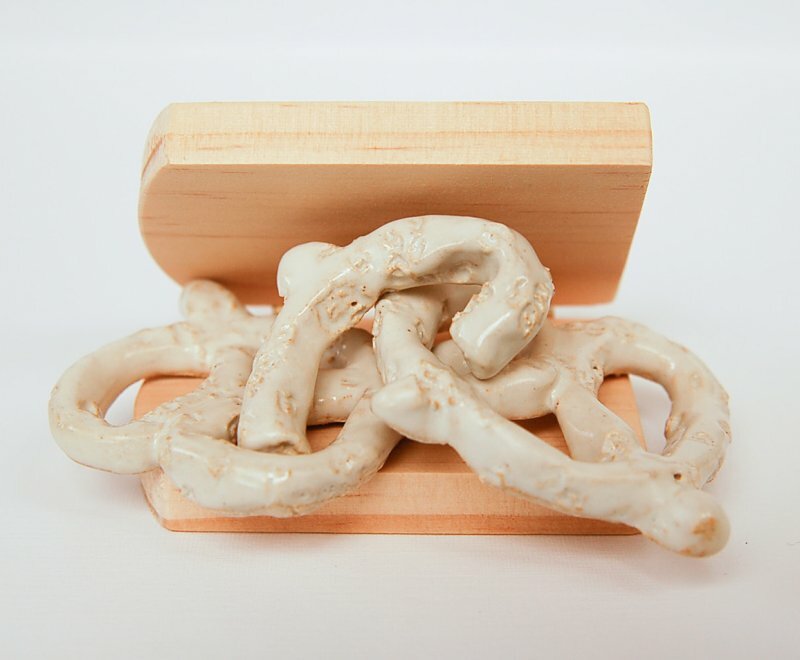 I'm very 'pleased' to announce that my ceramic work Crowd Pleaser has been selected as a finalist for the 2012 Portage Ceramic Awards hosted by the Lopdell House Gallery. It's a huge honour to be exhibiting alongside established ceramic artists such as Madeleine Child and Margaret Ryley. Queens Wharf, Auckland, New Zealand. Special thanks to Jasper at All Steel Fabrication for his box-construction skills, Jonathan at Images Unlimited for the vinyl lettering and Harley for his sleek type design. 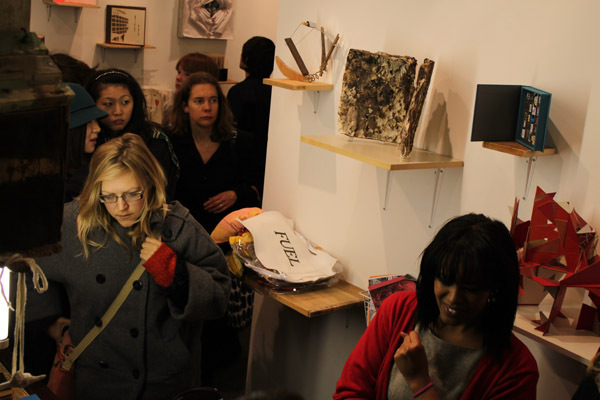 Check out images of the Award exhibition here. We are now residents of Chicago - hard for us to register we're actually here after such a whirlwind year! 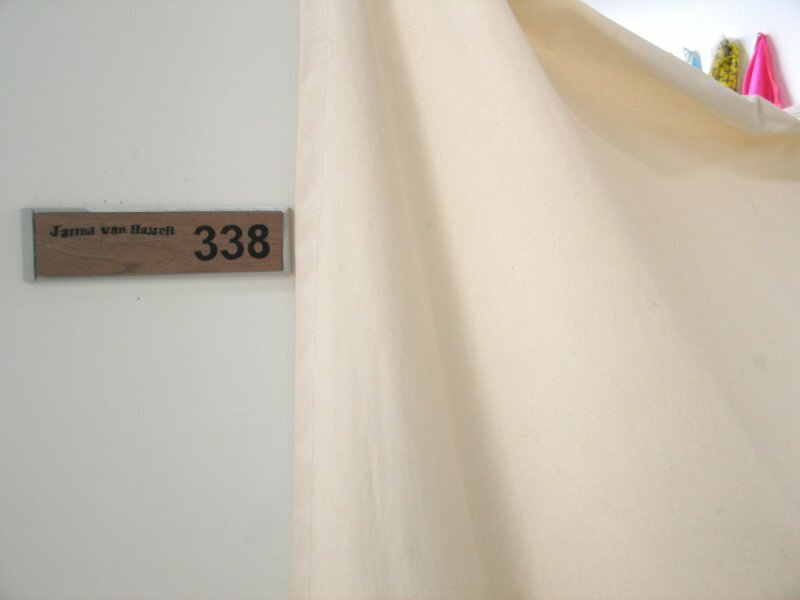 I'm officially an MFA candidate at The School of the Art Institute of Chicago, and am loving the opportunity to have a fresh start in a stark white studio...watch this space for Studio 338 updates. 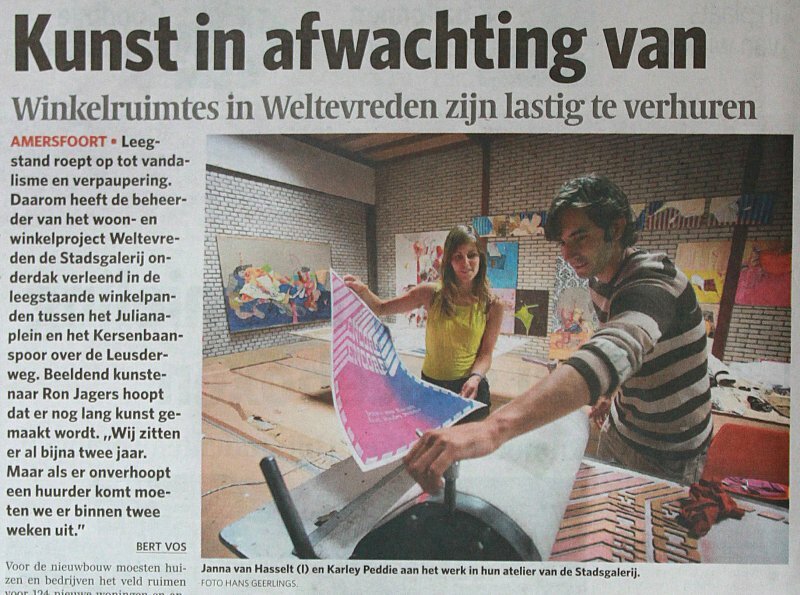 Dutch Design Week 2012 features Show your colour; a joint presentation organised by Audax Textielmuseum Tilburg | TextielLab, Beeldenstorm, Frans Masereel Centrum, Nationaal Glasmuseum| Glasblazerij, Nederlands Instituut voor Animatiefilm (NIAf) and Sundaymorning@ekwc. ‘Colourful’ projects by designers and artists using metal, paper, glass, film, ceramics and textiles will be on display in six studios. 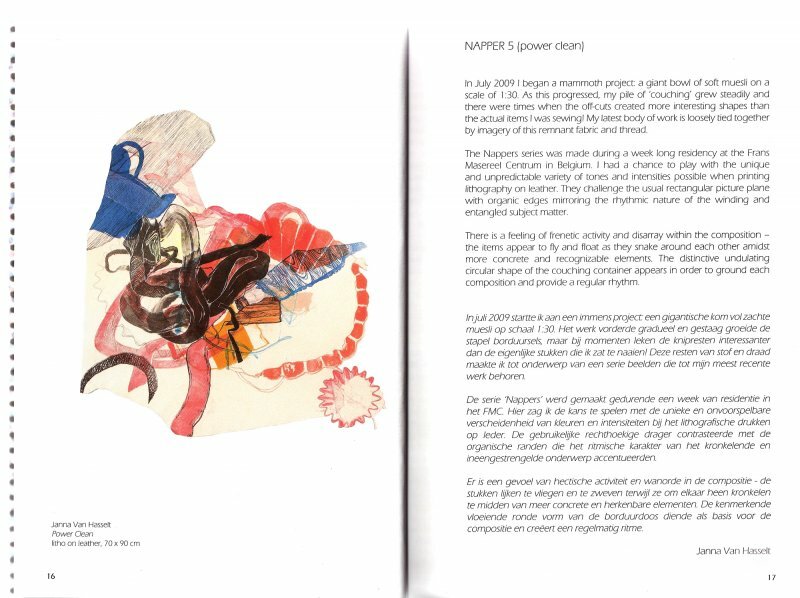 My artist book Comfort has been selected for the exhibition as one of five colour-focused projects created during residencies at the Centrum Frans Masereel. Vestdijk 280, 5611 CZ Eindhoven, The Netherlands. 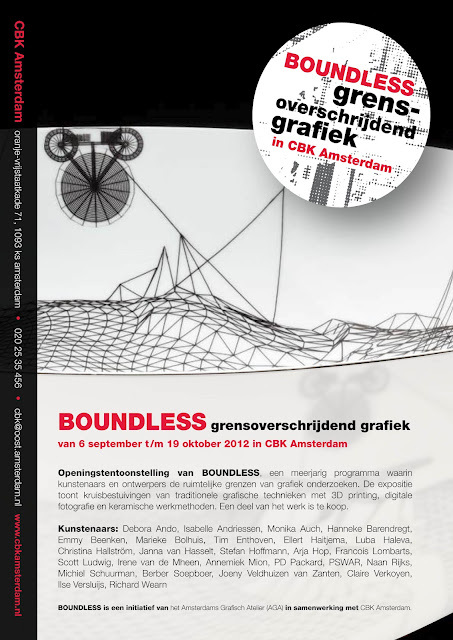 BOUNDLESS Amsterdam: The Boundary Crossing Project was initiated by the Amsterdams Grafisch Atelier (AGA). 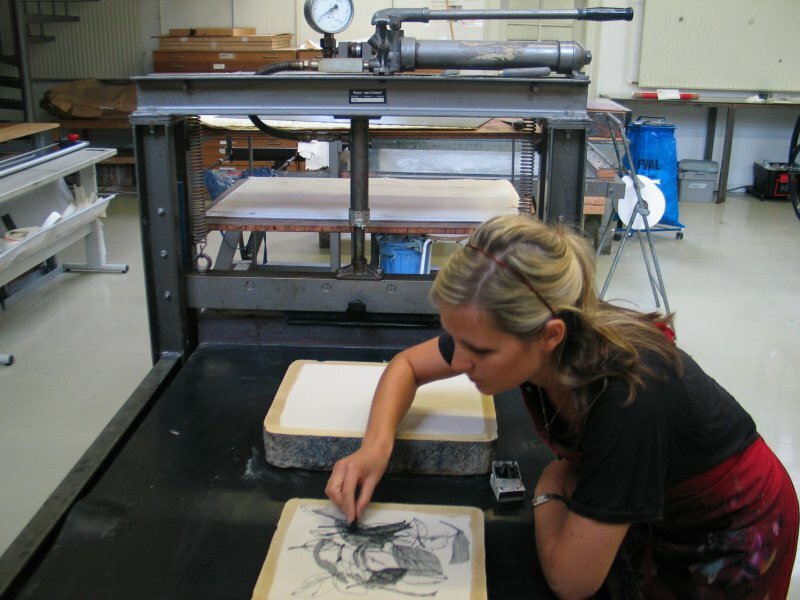 The project explores the innovative use of print media, beginning with a curated exhibition exploring the notion of 3-dimensional printmaking. Trigger from the series Cramping My Style has been selected and will be on show in Amsterdam this September and October. You can follow the Boundless project's progress through their blog. As a farewell to my Christchurch supporters, The Arthouse is hosting a pop-up exhibition of my latest ceramics, soft sculpture and drawing. Leighton Henshaw has generously welcomed us to his beautiful restaurant Edesia this coming weekend! More details and images available through The Arthouse website�and my catalogue. Harley and I were married in Teddington on July 21, 2012. We asked each guest to bring a cupcake to the reception and the resulting tower of treats was a feast for the eyes and the tastebuds! As a nod to Claes Oldenburg and his Wedding Souvenir multiples, we thought it was fitting to create plaster cupcakes, complete with piped PVA icing. 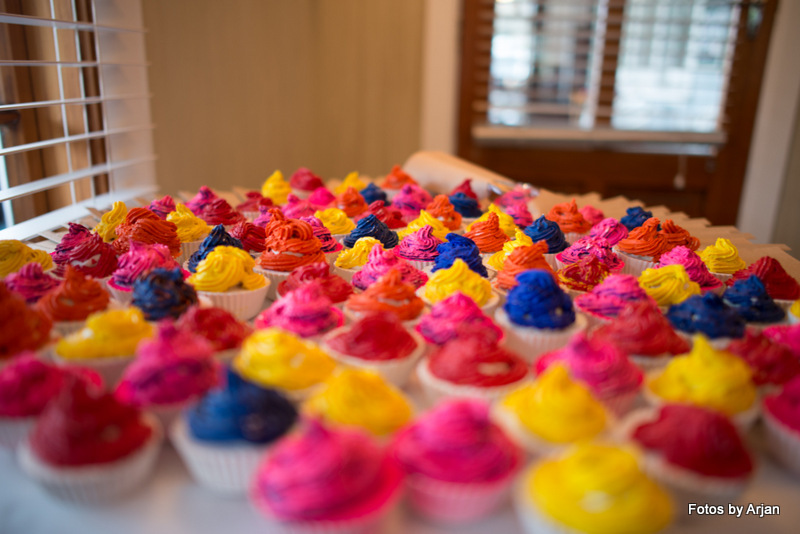 Takeaway is a series of 100 cakes with a choice of yellow, blue, red, orange and pink icing for our guests to take home as a memory of our colourful celebration! Check out Takeaway on my catalogue. Big thanks to Tim Jones (Librarian at the Christchurch Art Gallery) for his fabulous piece aknowledging my Fulbright Award. It's humbling to have the CAG's support in my future endeavours! I'm incredibly excited to announce I have been selected as a Fulbright Award recipient to undertake graduate study in the US! Harley and I are off to Chicago in August where I'll be doing my MFA in Printmaking at the School of the Art Institute of Chicago (SAIC for short). 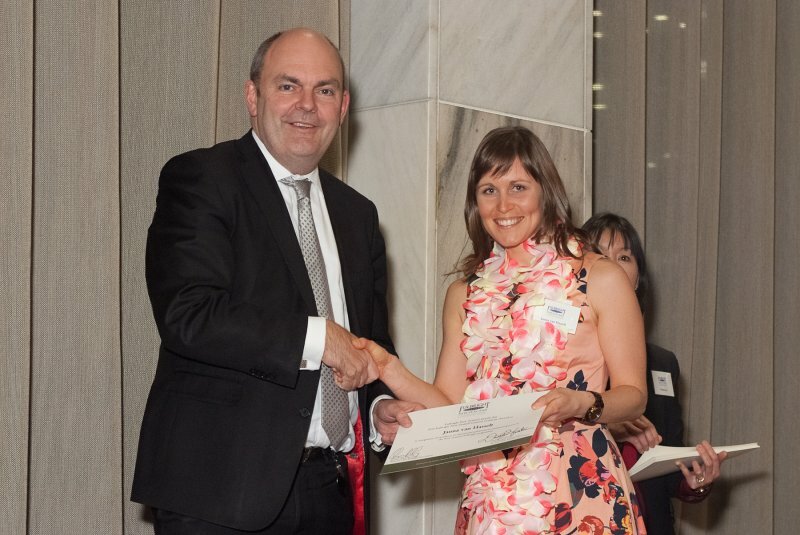 I received my award at the Beehive last week from Minister Joyce and US Ambassador Huebner.�Thanks muchly Fulbright New Zealand! 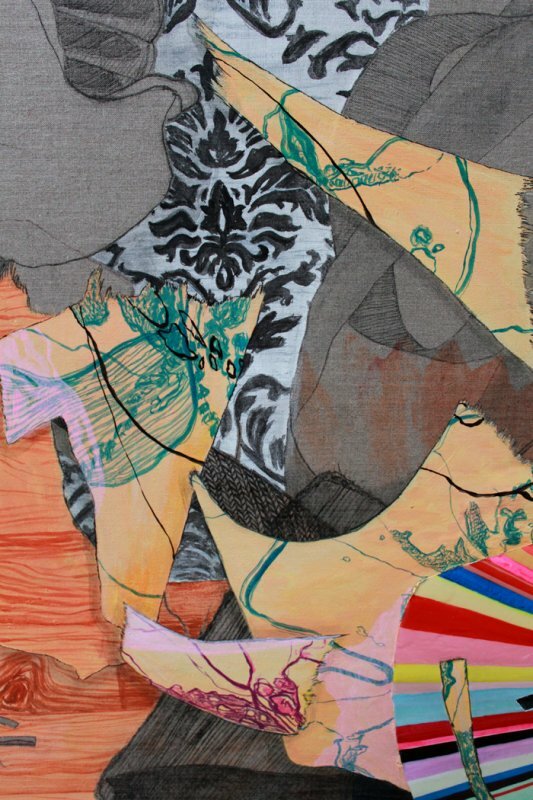 I'm excited to announce the opening of Exquisite Corpse at Seed Gallery! The exhibition features eight works created by 16 artists collaborating in pairs. Rebecca Thompson has done an amazing job of resolving our piece entitled Salute. This year Seed Gallery have decided to offer 16 of their artists the chance to collaborate on a piece Exquisite Corpse style. Exquisite Corpse is based upon the Surrealist picture game of the same name wherein a drawing is built by a succession of artists who can see nothing but a tiny sliver of the previous artist’s work. I'm collaborating with Rebecca Thompson...can't wait to see what magic she creates on the left-hand side! 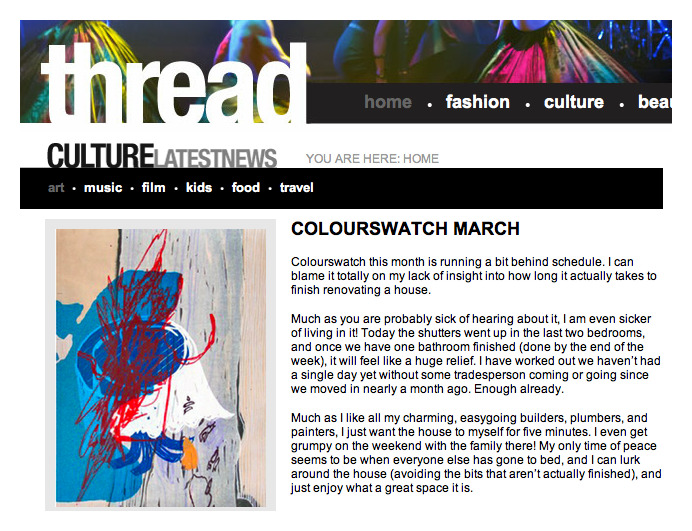 Anya Brighouse of thread.co.nz has praised my work in her March COLOURSWATCH column. 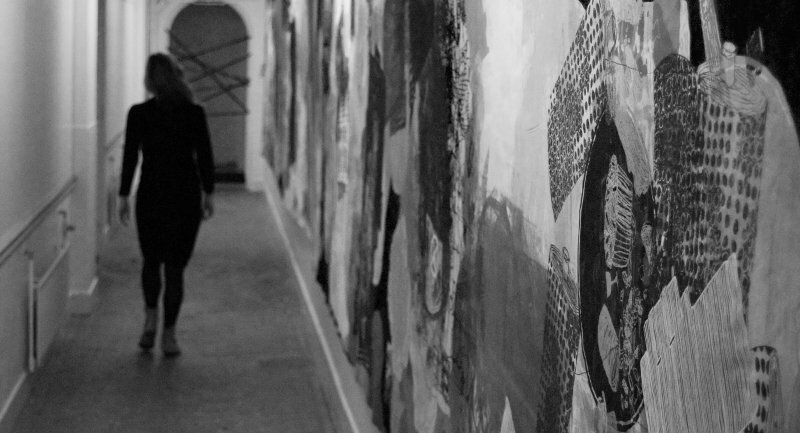 "We will continue on the theme that we started with – art. 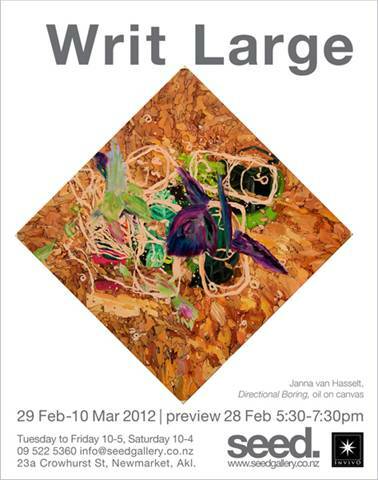 Seed Gallery in Newmarket Auckland have just had an exhibition called Writ Large, which featured Janna Van Hasselt. I just love her work and when I finally have the headspace to start thinking about artwork for the new house, she will be head of my list. 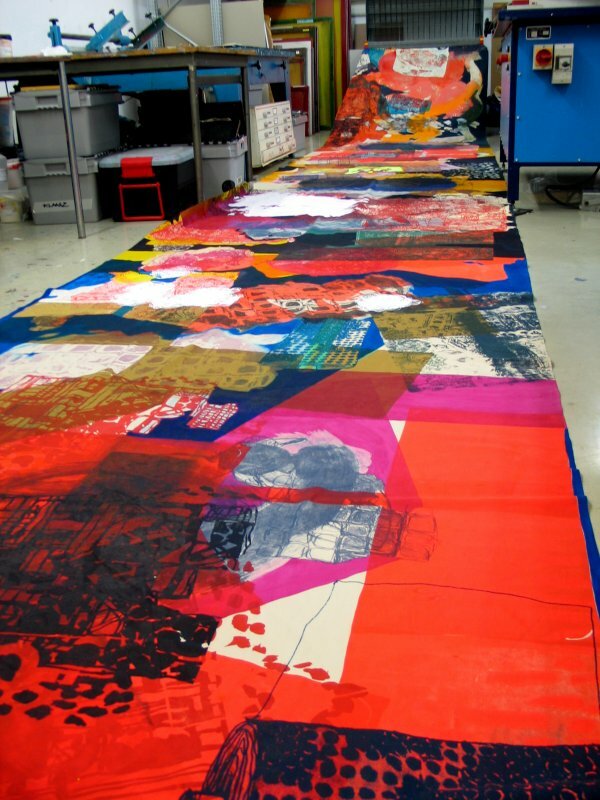 She uses beautiful colour, and often screen prints – but I just love that ‘textile’ feel to her work. 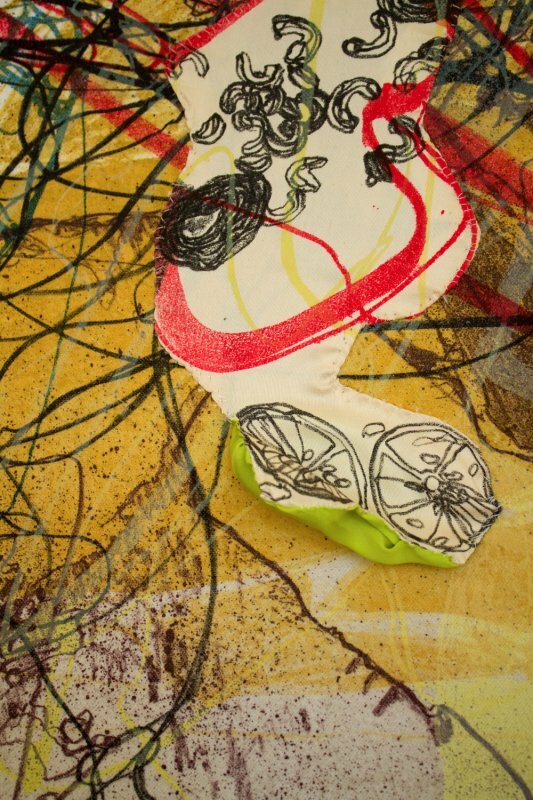 I have included one piece from the recent exhibition, and another from Seed Gallery’s current stock of Janna’s work. You can view other works by both her, and their other amazing artists at www.seedgallery.co.nz"
Big thanks to the thread.co.nz team! It's been a glorious summer of glamping and collaborative sketching. You'd be amazed at some of the places we've gotten our watercolours and pencils out. Working en plein air is thoroughly liberating! 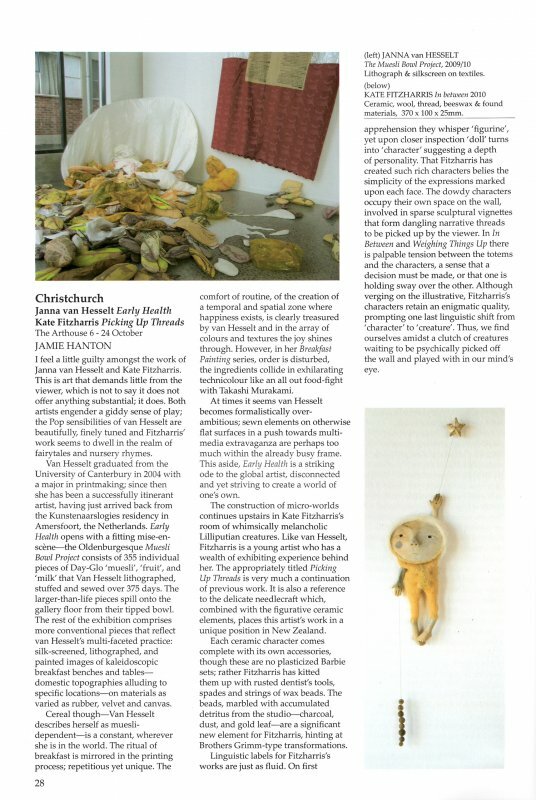 Word has gotten out at CPIT that PARADE is gracing the shelves of the Christchurch Art Gallery library; their communications advisor Breeze Roberston has written a piece for the online news and events section. 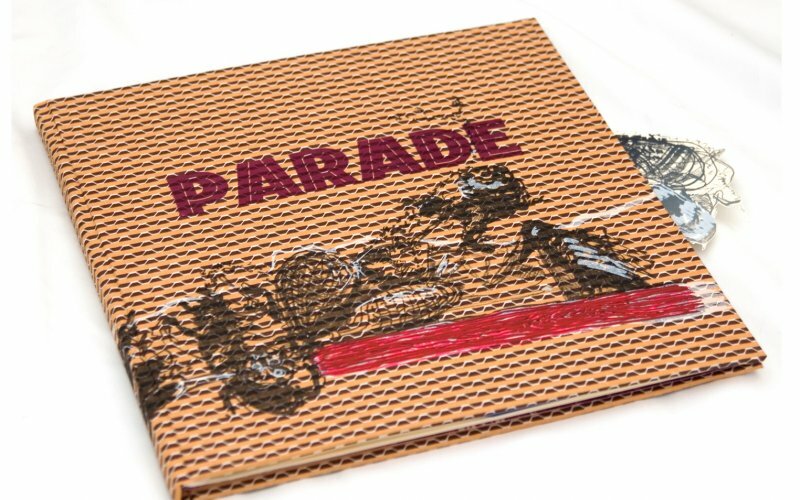 The Christchurch Art Gallery have secured a copy of PARADE for their library of artist books along with the Frans Masereel Centrum in Belgium. We are excited to have our work in two prestigious collections. If you'd like to view PARADE virtually, have a look at our flick through video here, or we'd be happy to show you in person too! 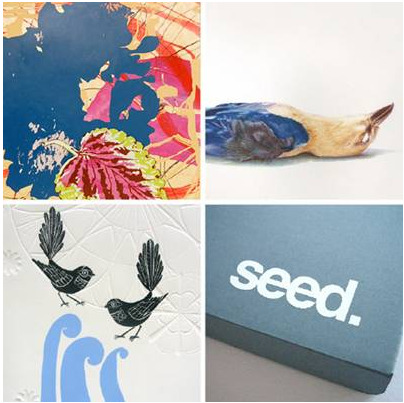 It's that time of year again; the Christmas show at Seed Gallery! 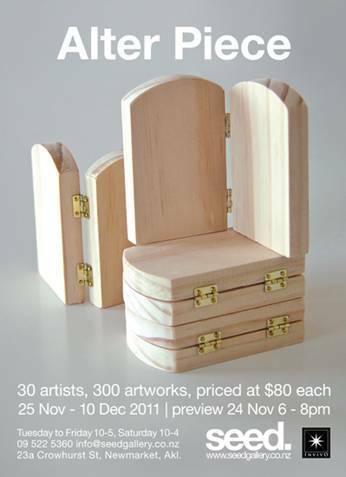 Alter Piece showcases 300 works by 30 artists working with a set template: ten hinged wooden altarpieces measuring 80 x 100mm. And if you'd like to see my take on these hinged beauties, have a look at What's in Yours? You won't believe it; after beginning our collaborative book at FMC last August, we are finally tackling the finishing touches! We recently spent an intensive weekend dedicated to PARADE; problem solving, glueing, trimming, primping and preening. At times, it felt like we were back in Kasterlee, ready to collapse into bed in our cosy A-frame lodgings each evening. Watch this space for the official launch of PARADE...not long to go now! I started taking classes at the Canterbury Potter's Association rooms at the beginning of August and it only took a few weeks before I was completely hooked! I love the meditative process of hand-sculpting clay not to mention the magic of the firing process where results cannot be predicted. As usual, I'm not following suit with the favoured fascination with bowls, mugs, pots and jugs...Instead, I'm mixing things up and entertaining my lovely classmates by creating ceramic scroggin and biscuit varieties as well as a series of unusual sandwich fillings. Check out "What's in Yours?" 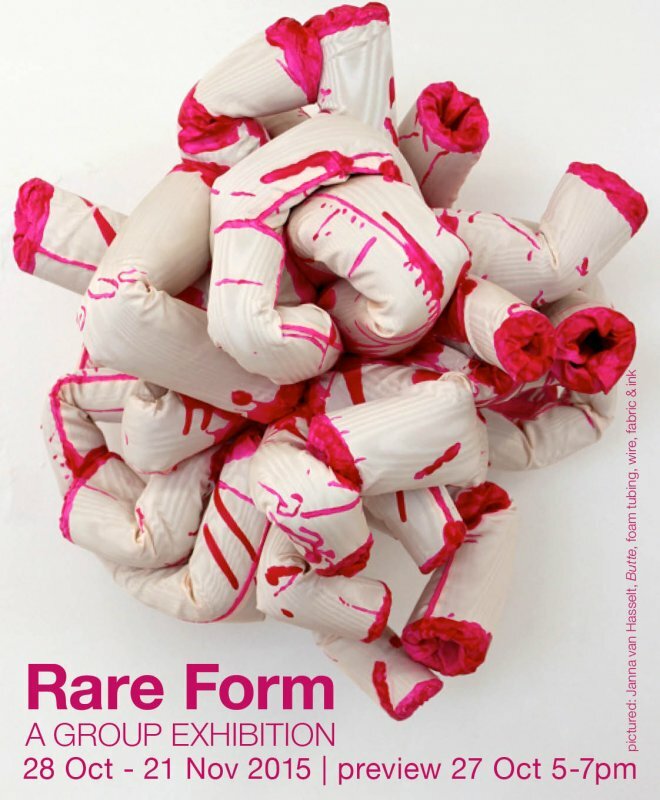 in my catalogue to see what I've created for Seed's annual template show: Alter Piece (opening November 24). It was with a mixture of relief and remorse that I dropped off 4 large boxes at the couriers last night. I've thoroughly enjoyed creating the 10 pieces which make up Playlist, relishing the new challenges which came with working in oils and casting resin. 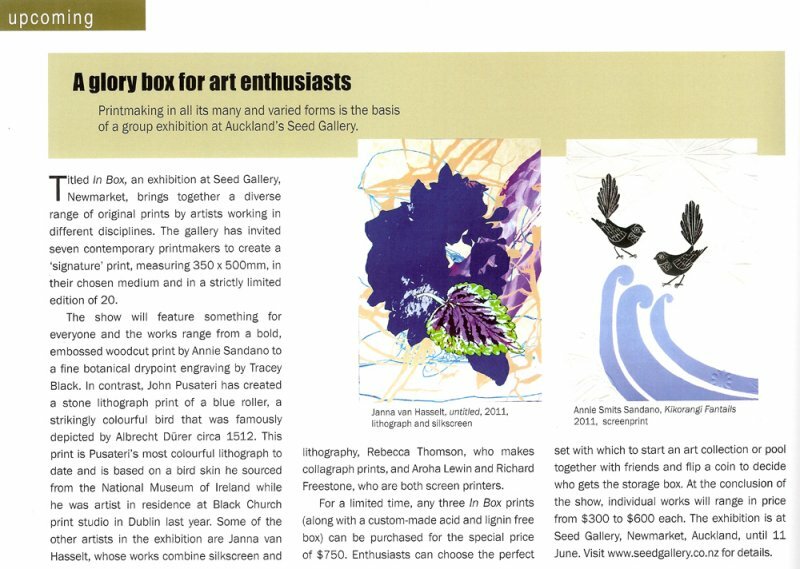 If you're in Auckland, I'd love to see you at the exhibition opening, otherwise you can view all work through my catalogue or on the Seed website. With just four days before the courier picks up my ten works for Playlist, the heat is truly on. Thankfully, the oil paintings are 99 percent dry and most other pieces have somehow resolved themselves over the past few weeks. Dad and I have enjoyed our bi-daily resin pouring sessions for Track 3. The result is totally not what I expected, but intriguing all the same. This piece has certainly lived up to its name: The Challenge Track. We are all mourning the loss of our beautiful cat Jessie, Toby included. Now without his sunbathing partner and friend, he has taken to performing the 'dragon pose' alongside me as I work on Track 10. I love Toby's faithful presence and his discerning ability to know just the right spot to place his beloved tennis ball. After two days trapped indoors due to our blizzard last week, the weather was just too stunning to work indoors this afternoon. I spent a glorious few hours painting en plein air, giving my works a well deserved airing and also some much-needed contemplation time. As you can see, Toby approved of the new deck layout and took full advantage of the comfort of Dad's yoga mat! 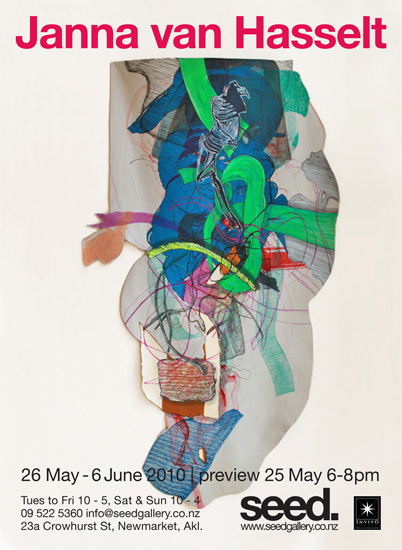 En Masse is a group exhibition of recent work from 16 artists represented by The Arthouse. It is also a chance to reunite following the closure of their Gloucester Street gallery space as a result of the 22 February earthquake. Venue: NZ Health Food Company, 215 Wooldridge Road, Harewood. 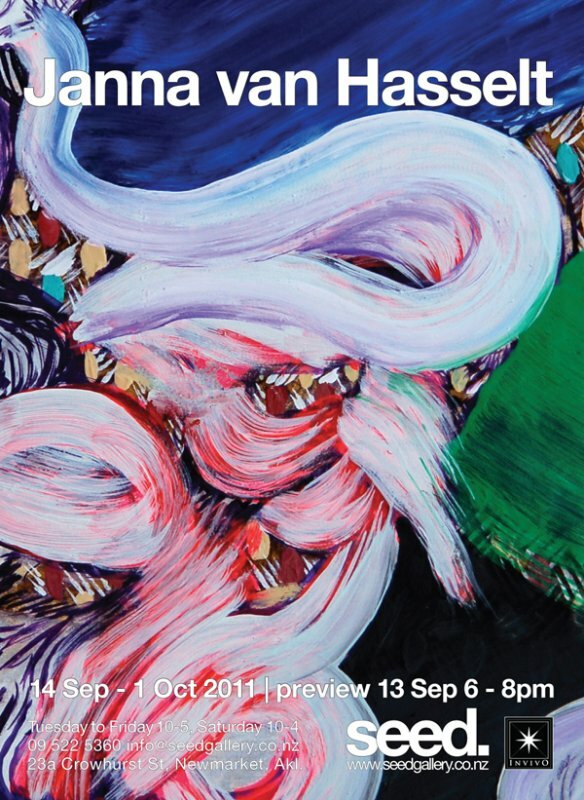 Opening: Friday 12 August at 5:30pm. Show runs through 21 August, 2011. Domestic Interiors is a group show of paintings and ceramics which I was asked to be involved in literally at the 11th hour! 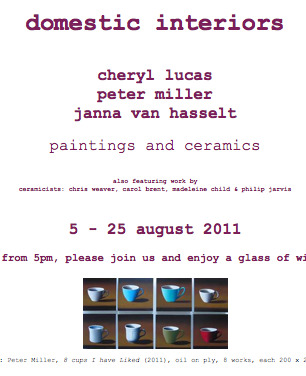 It is a pleasure to show alongside Peter Miller, Cheryl Lucas and Madeleine Child & Philip Jarvis. 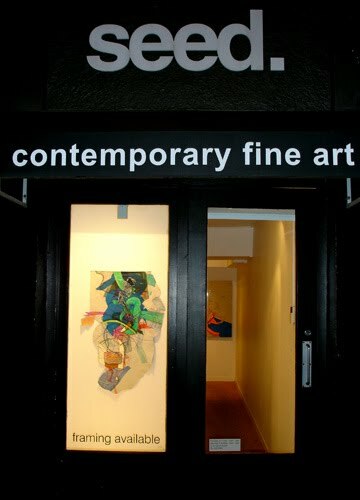 The show runs through August 25, 2011 at Gallery Thirty Three in Wanaka. It was a pleasure to be interviewed by assistant editor Sara Bunny and photographed by Guy Frederick for the August Arts issue of Avenues. 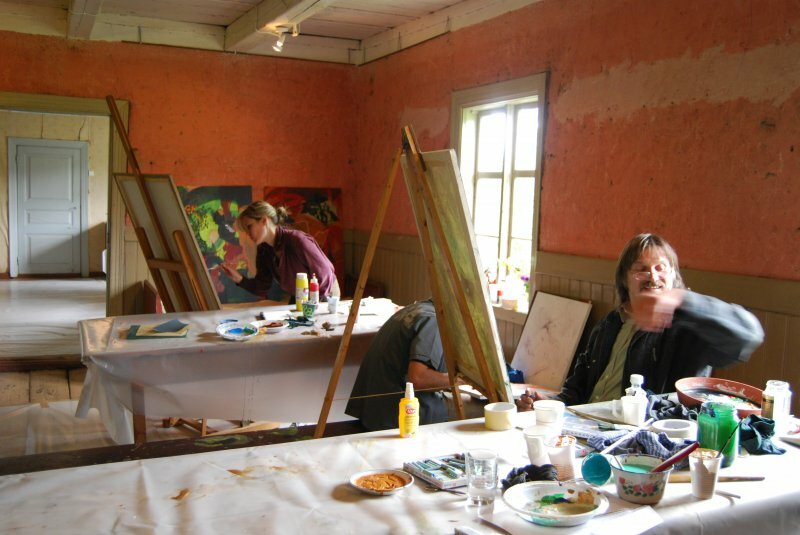 Three Christchurch studios undamaged by the earthquake on February 22 were chosen for the feature titled my studio, my castle. 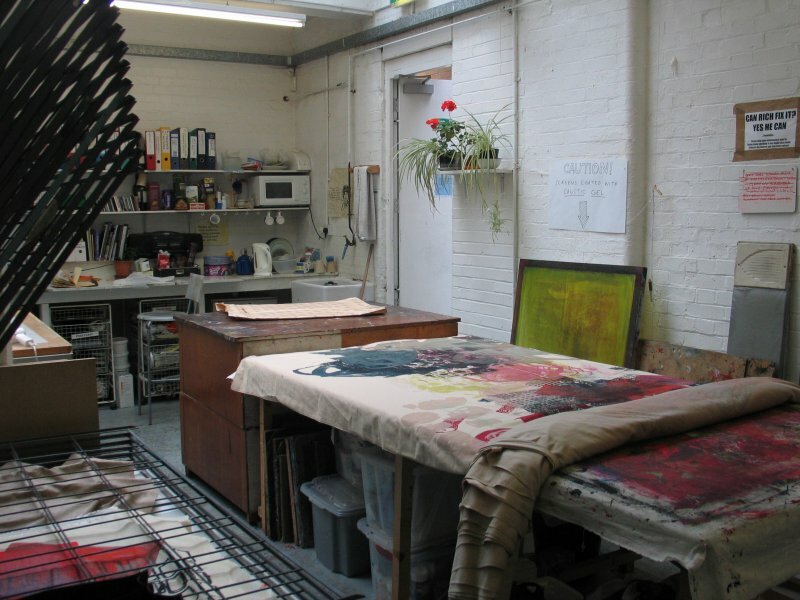 Studio JAR was one of them along with Ben Reid's Sumner print workshop and the studio space at ABC Gallery being used by Oscar Enberg, Sebastian Warne, and Zina Swanson. After several days drying time, my contribution to Seed Gallery's autumn print initiative IN BOX is ready. 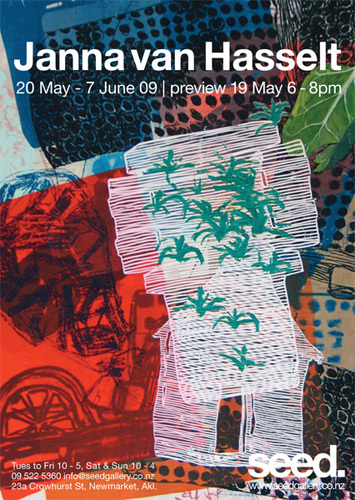 It's a pleasure to exhibit alongside six reputable contemporary NZ printmakers: John Pusateri, Annie Sandano, Richard Freestone, Tracey Black, Rebecca Thomson and Aroha Lewin. For a limited time, you can select three prints for $750 (includes a lovely portfolio box). Check out a little animation showing each of the 20 variable edition versions of Patchiness here. It's been great having a project to focus on over the past few weeks when art-making has threatened to stay at the bottom of my 'to-do' list. This is a variable edition of 20 prints & 2 APs half printed in Amsterdam (litho and silkscreen) and finished off at Studio JAR with some silkscreen work using oil-based inks and gum arabic/contact paper stencils. I've loved having a reason to getting back into printmaking and I'm thinking this might be the beginning of a new way of working. I've also realised I'm an ink addict! After FUEL made the cut for the 2009 edition, I was pleasantly surprised to find one of my Napper works Power Clean featured in FMC's 2010 report! It's a lush publication expertly laid out by Wim and Ivan, and contains some super innovative work. There's also a couple of pages from Harley's twitter book There'llBeTypos! Seed gallery is delighted to present Flying Colours, an exhibition featuring artists for whom colour plays an essential role. What better way to start the year than with a celebration of colour! Featuring new work by: Annie Sandano, Mark Rayner, Sarah Williams, Jesse Watson, Holly Shepheard, Janna van Hasselt, Louise McRae and Rebecca Thomson. You can view my Reworked series of four new paintings here. Show runs 9-26 February 2011. Over the past few months I've realised just how important it is to have a dedicated space to work in. I've tried working from home, with mixed results, and it's amazing how much more productive you can be in a sole-focus studio environment. After a huge clear-out, it was with great delight that I placed the Studio JAR sign on the door of my parents converted garage. Harley and I are loving the chance to listen to Dad's old records on the turntable; Roger Whittaker, Neil Diamond and Art Garfunkel make for great working music! Early Health looked fabulous gracing the resplendent white walls of the Arthouse gallery. The Muesli Bowl Project also looked right at home; although some passers-by couldn't quite work out what was oozing out of the exhibition space! Jamie Hanton wrote an intriguing review of the show likening my Breakfast Paintings series to: "... an all-out food fight with Takashi Murakami." 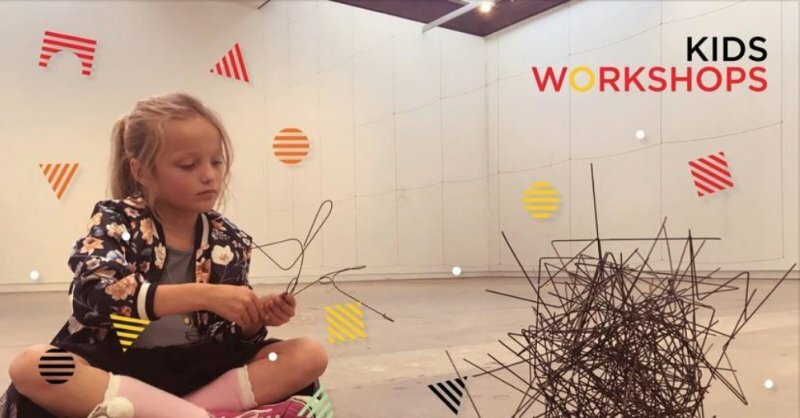 The Young Collectors project promotes the young talent in NZ, alongside affordable works by named artists, in an effort to bring original art to the young or young at heart collector. I have three new paintings in the exhibition which can be viewed on my catalogue. 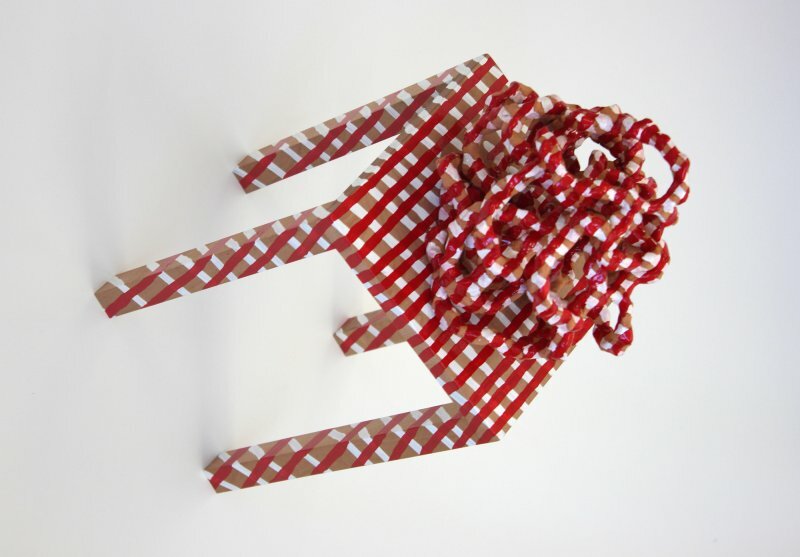 Collect III opens this Friday 10 December at 5:30pm and runs through 17 December. For their latest Christmas show, Seed Gallery has invited thirty different artists, working across various disciplines and media to work with a set template: a shallow wooden bowl of 80mm diameter. 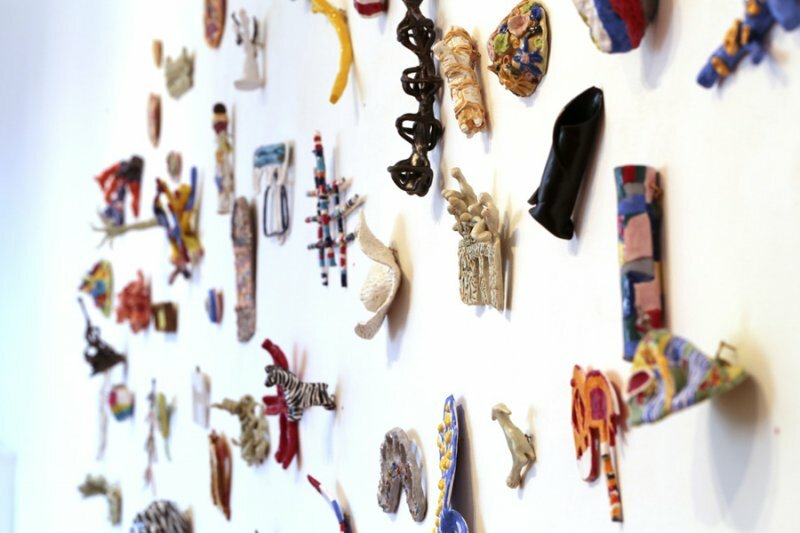 The resulting exhibition will showcase 300 miniature artworks reflecting each artist’s exploration of the limitations and possibilities of this form. 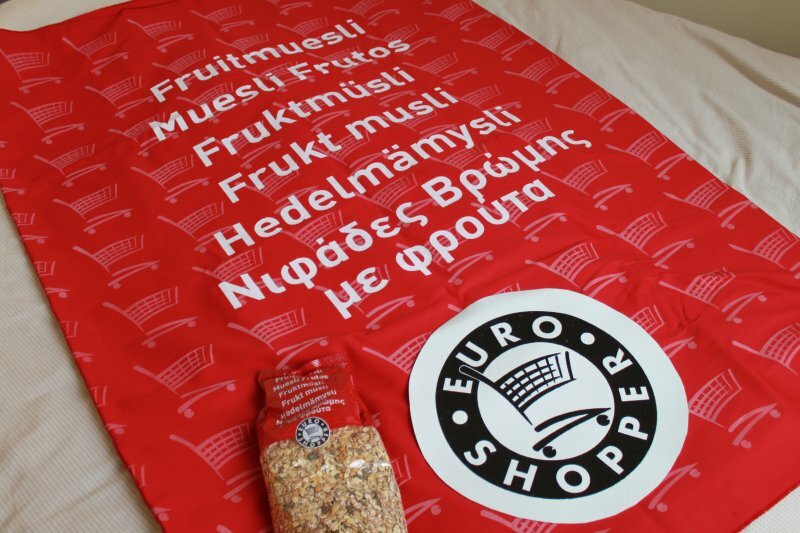 I have created ten works celebrating various bowls I have eaten muesli from over the past few years, complete with the odd stray oat flake, linseed or apple slice. You can view images of each bowl on my catalogue. The show opens Thursday November 25 at 6pm sharp and runs through Sunday December 12. 6 Breakfast Paintings, 4 large servings of Early Health, 1 Muesli Bowl Project and 1 Splash. 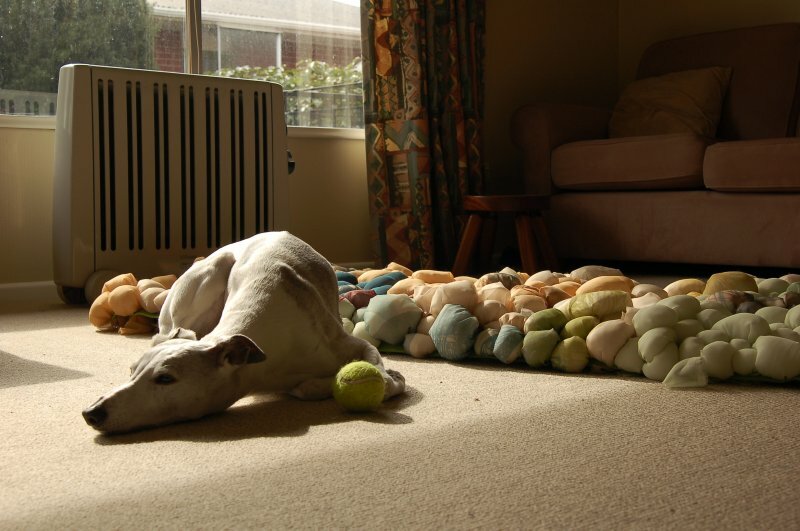 This is what constitutes my latest show at The Arthouse gallery in Christchurch. If you're in the area, I'd absolutely love to see you. Otherwise, you can find all images from the Early Health show on The Arthouse website. I'm sharing the space with Kate Fitzharris who is exhibiting her latest series of ceramic works entitled Picking up threads in the upstairs gallery. 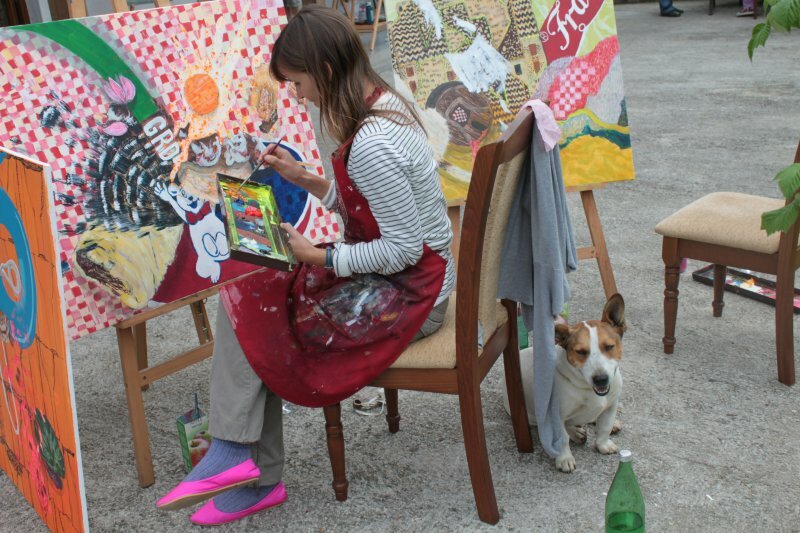 Harley and I spent a week in Croatia painting in 'plein air' as part of the 5th Hudek Symposium. 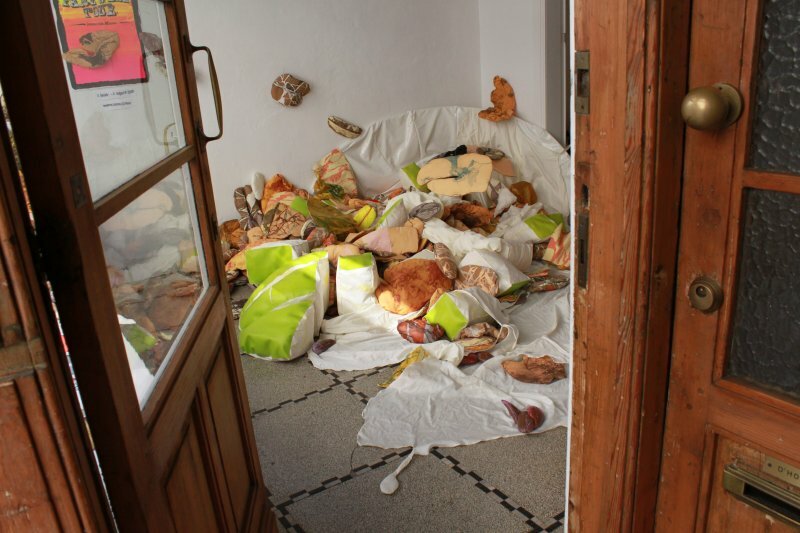 We lived, worked and ate alongside 16 artists, two dogs and a bunch of noisy turkeys in Gusakovec (55 km from Zagreb). The result? 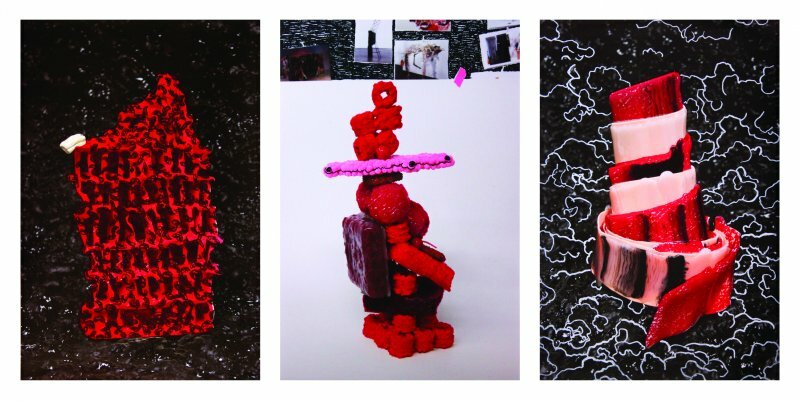 Three collaborative paintings inspired by typography, textiles and treats from our new environment (Lojzekova Hiza). Harley and I had the pleasure to be interviewed by Bert Vos from the Amersfoortse Courant. After a successful road trip cross country The Muesli Bowl Project is now officially installed at PRINT gallery in Antwerpen until August 3. Big thanks to Nele, Harley, Lies and Wayne for all their wonderful assistance! The Farewell Tour had a successful start this weekend in Amersfoort. 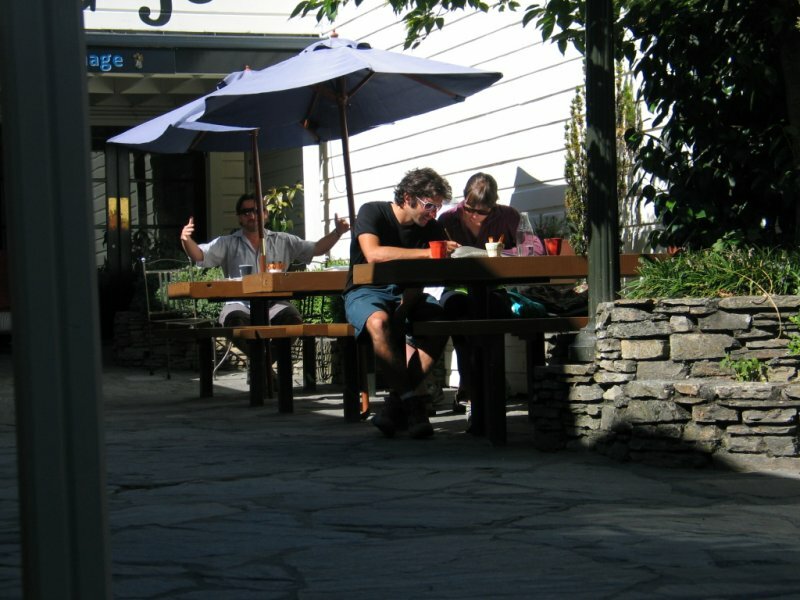 We wowed the locals, including some unsuspecting visitors to the organic food supermarket next door. The good news is that the season has been extended through Friday - so there's 4 more days to sneak a peek! The next stop is Antwerpen. Do come along and witness the fabulous installation team in action this Saturday and Sunday July 10 & 11. After this weekend, the muesli will be on show in the gallery window until August 3 when it will begin its long and exhausting journey to New Zealand...I'm still not quite sure of the details, but it will get there somehow! 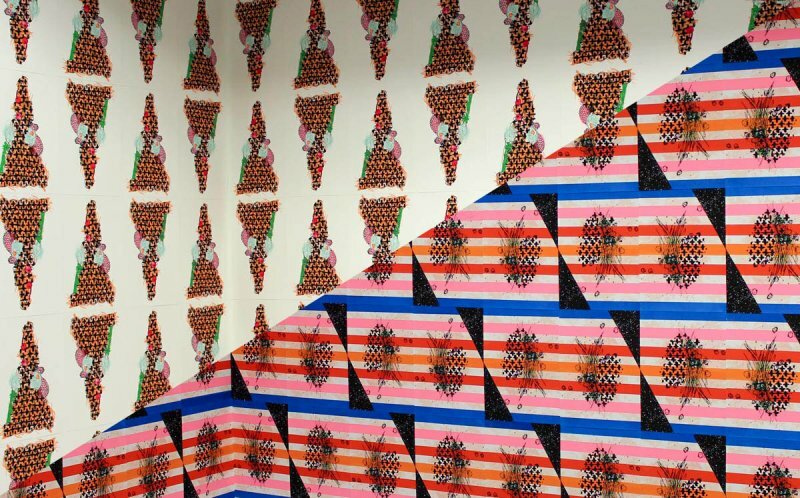 Pic 'n Mix opens at Seed Gallery next week! For a sneaky peek of my latest works, check out Nappers, Pic 'n Mix, The Boys and Evacast Magic in the catalogue. If you missed out on seeing Bertha being unveiled in all her splendour last year, there's one more chance before she heads home to southern climes. 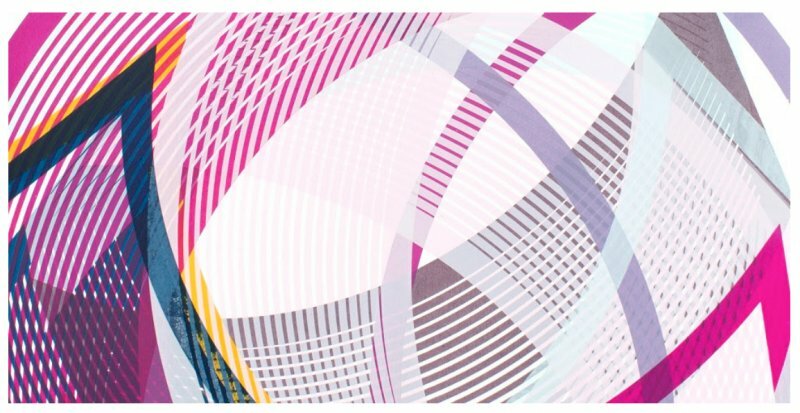 She's showing over three weekends at d’ ETALAGE gallery in Vierlingsbeek and will be joined by a wall installation of proofs from two years of lithographic printing in Kasterlee and Amsterdam. I'll be at the opening and it would be fabulous to see you there! I am honored that FUEL and COMFORT were selected to be a part of this exhibition first: a group show dedicated to unique artists’ books. The exhibition will bring to life ‘the aftermath of an accident between a trolley car and a newspaper kiosk', recalling Maud Lavin’s description of Johannes Baader’s original exhibition Das Grosse Plasto-Dio-Dada-Drama. Drawing inspiration from Baader’s original architectural feat, fifty pieces have been selected for their originality and conceptual response to the traditional book form. 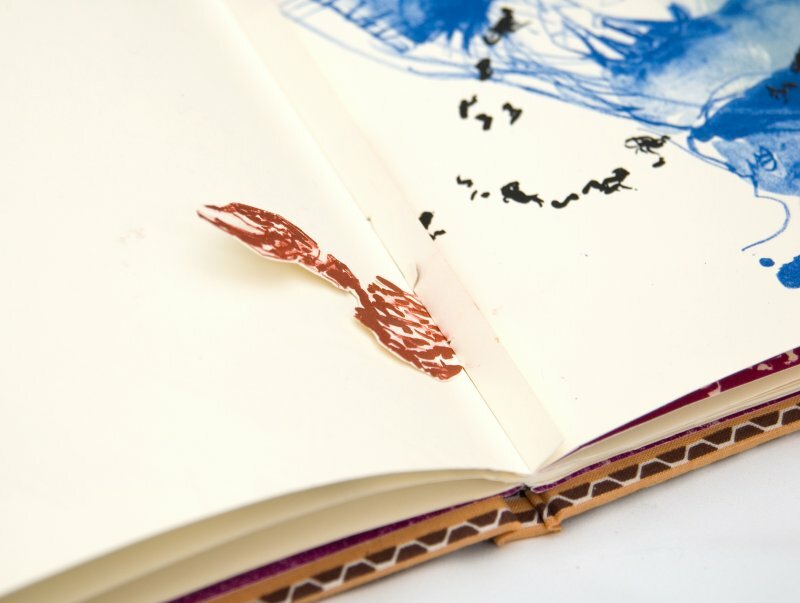 KALEID curator Deeqa Ismail challenges the viewer to consider not what a book is but what a book can be. Make sure you stop by if you missed out on seeing Late Night Litho last month. 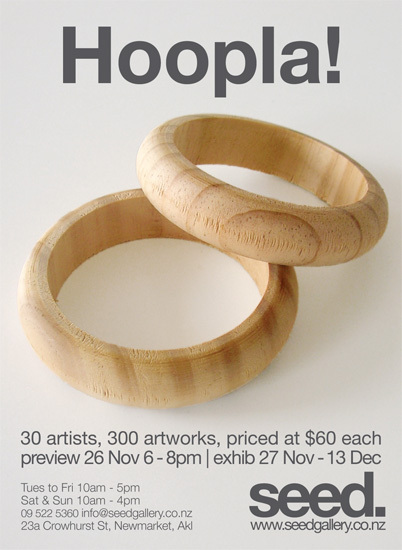 30 artists, 300 artworks, priced at $60 each. Finally, a show in my hometown! 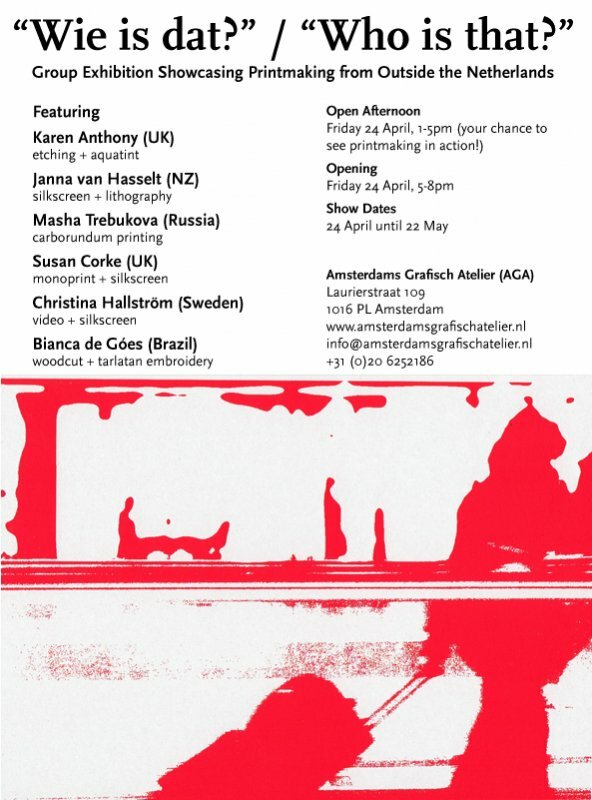 Don't miss out on your chance to see my latest body of work created in Amsterdam and Belgium at the Arthouse. 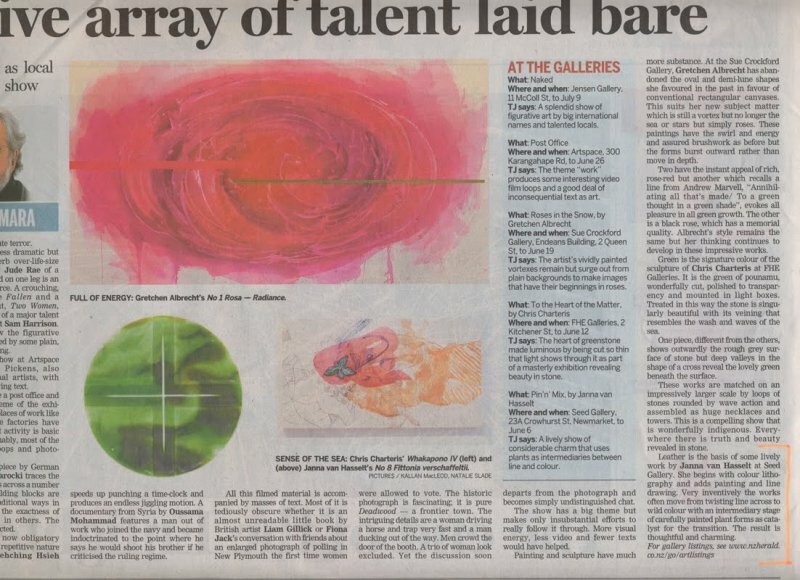 I am super excited to have the SAHT selected as a finalist in the 2009 Wallace Art Awards. After a long journey across the world from Amsterdam to Auckland, I just hope it’s still fresh and tasty! For more information about the awards including the winners, check out the James Wallace Trust website. My third residency at theFrans Masereel Centrum has sadly come to an end. After three weeks of intense printing and sewing (with the odd forest jog and pony-feeding session thrown in), I have completed two books as well as a last-minute experimental litho project! Check out recent work for images and descriptions. Enjoy! I'm back in Kasterlee soaking up the glorious sounds and smells of summer in the Belgian countryside. This is my third residency at the Frans Masereel Centrum after visiting in 2005 and 2008. I'm certainly making the most of their top-notch facilities as well as the chance to work uninterupted for three weeks. Time in the studio is broken only by meals and the occasional evening jog amongst the cornfields. Pure bliss! As you can see, I'm not giving too much away regarding content or materials - just these two words: Disco Paper! Watch this space for the results in September. I'm literally a whingeing mess if I miss my daily museli fix. Sad, I know. I like mine microwaved with soya milk, sliced granny smith apple and orange and lastly, just a wee dollop of yoghurt. How bout you? Our morning muesli preparation routine is an art form in itself and it was high time this extreme fibre dependence warranted closer inspection. 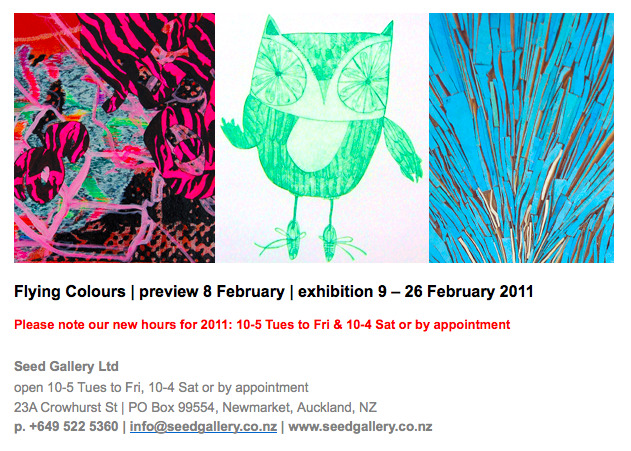 My latest work goes on show this month at Seed Gallery. Expect to enjoy some Flat-Packed Tomatoes not to mention some seriously tasty Comfort Food. 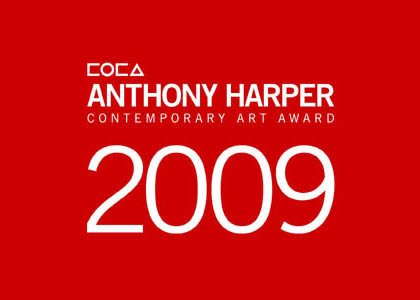 I am absolutely chuffed to have Zaterdag selected from close to 400 entries as a finalist in the 2009 COCA Anthony Harper Contemporary Art Award. The winner will be announced at the exhibition opening Tuesday 12th May at 5.30pm at COCA Gallery in Christchurch, New Zealand. The judge is arts consultant, author and ‘cultural curmudgeon’ Hamish Keith. All friends and whanau are welcome at the opening, so please feel free pop by and check it out! 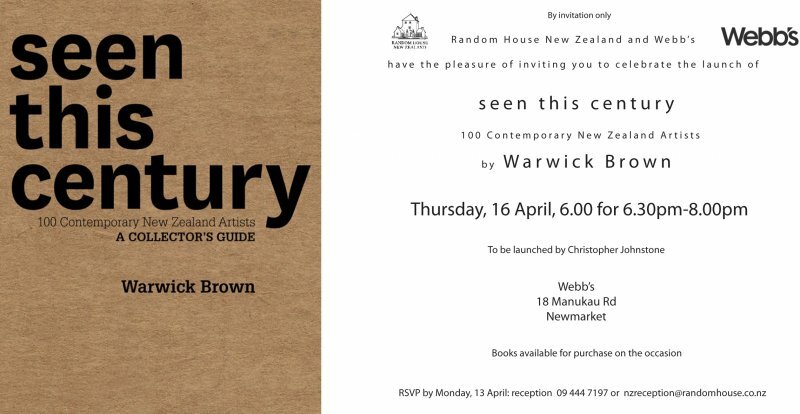 Warwick Brown's latest book profiles his favourite 100 New Zealand artists who have come to notice since 2000. It is written as a guide for art collectors and investors and includes four pages on each artist. I am honored to be featured in seen this century which is being launched by Random House on April 16, 2009. The 7th British International Mini Print Exhibition (featuring my Printje: Speculaasje) opens at London Print Studio Thursday March 26 at 6:30pm. The show will then tour through various venues in the UK throughout 2009. Bertha has had her 3 weeks in the spotlight in the AGA passage. Big thanks to all those who have visited and commented on her colossal length and intensity of colour and imagery. 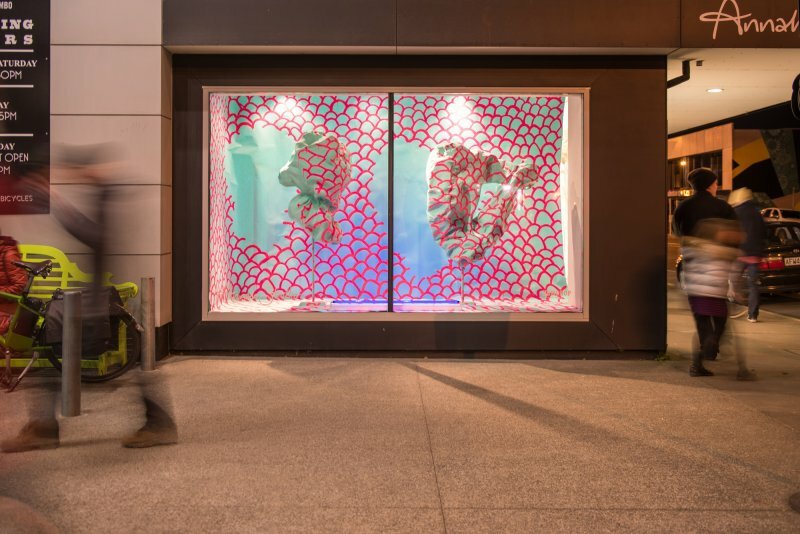 For more images of the installation and opening, check out Recent Work. Special mention to Paul Stephenson who has provided some superb photographs - thanks Paul! Big Bertha is almost ready to be installed! If you're in or near Amsterdam I'd love to see you! "Is this big enough Simon?" Big Bertha is getting some special attention once again. 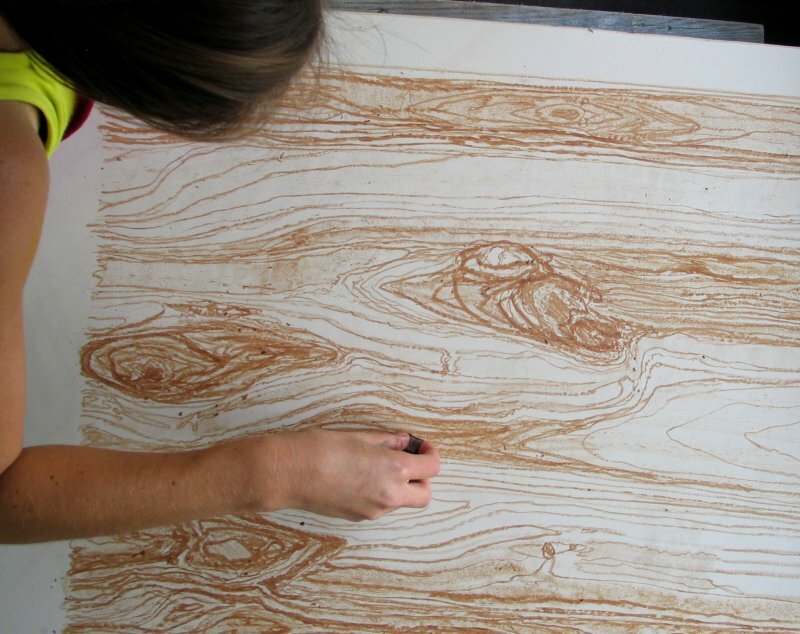 This time she's being treated to a 'sticky' textile printing table and nice new inks. I have just under a month to complete this 15m work which was started in Belgium a year ago. 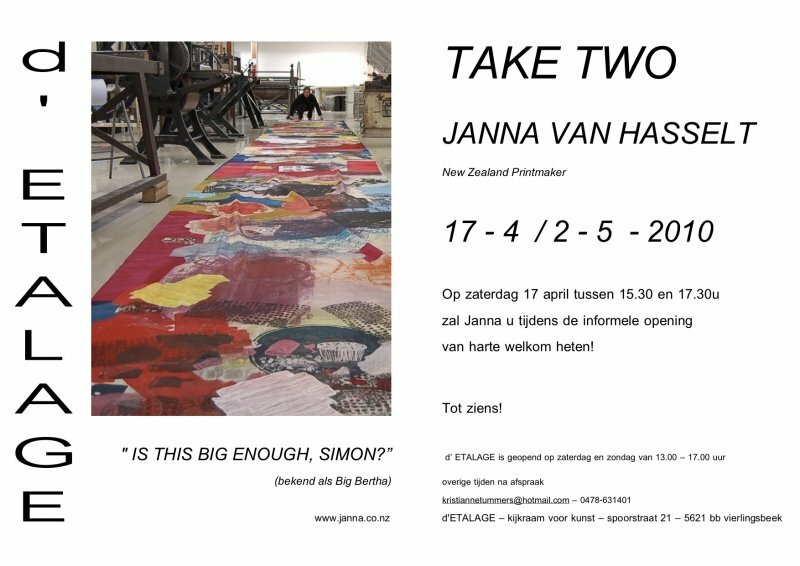 It will be installed in 'de passage van het AGA' (otherwise known as the long gallery space at AGA) for three weeks from February 20. The show is appropriately entitled: "Is this big enough Simon?" referencing my fine art lecturer. Nothing was ever big enough for Simon Ogden! My latest series of prints on paper are now ready! 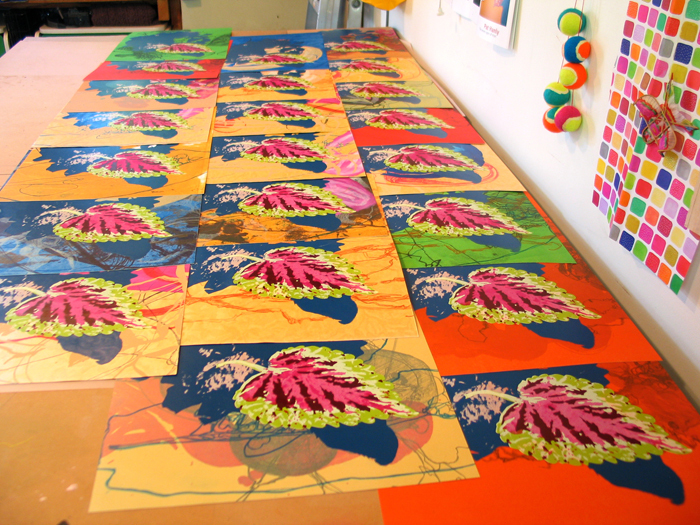 They were printed at AGA using a mixture of lithography and silkscreen. 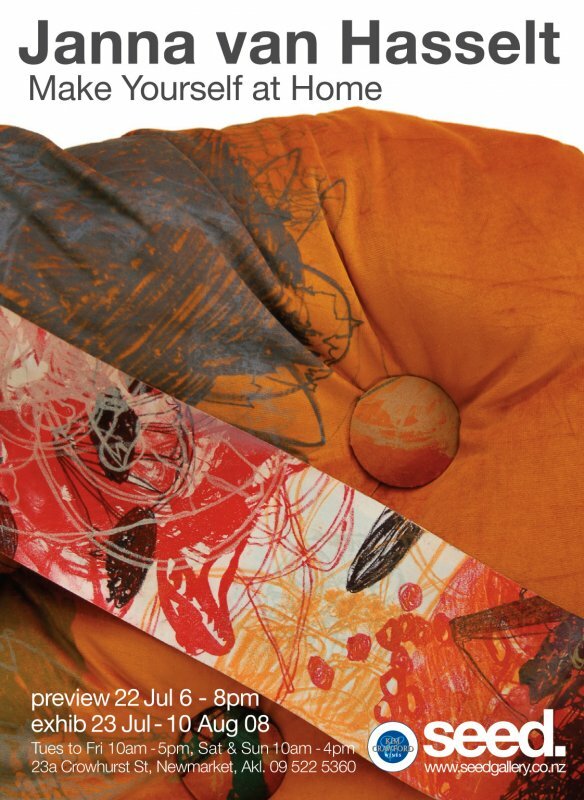 Each print is part of an edition of 4-6 and features 10 or more layers in intensely tasty hues. 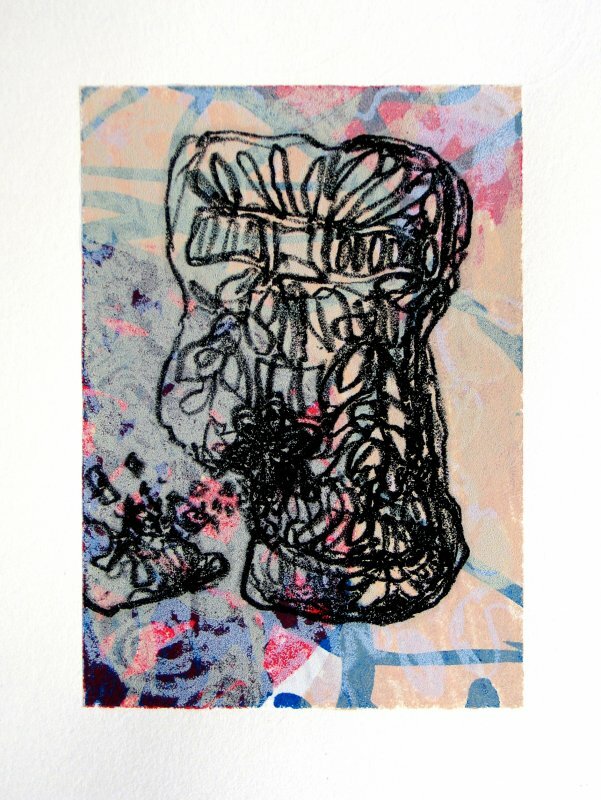 I submitted three prints for the 7th British International Mini Print Exhibition, and Speculaasje has been selected! 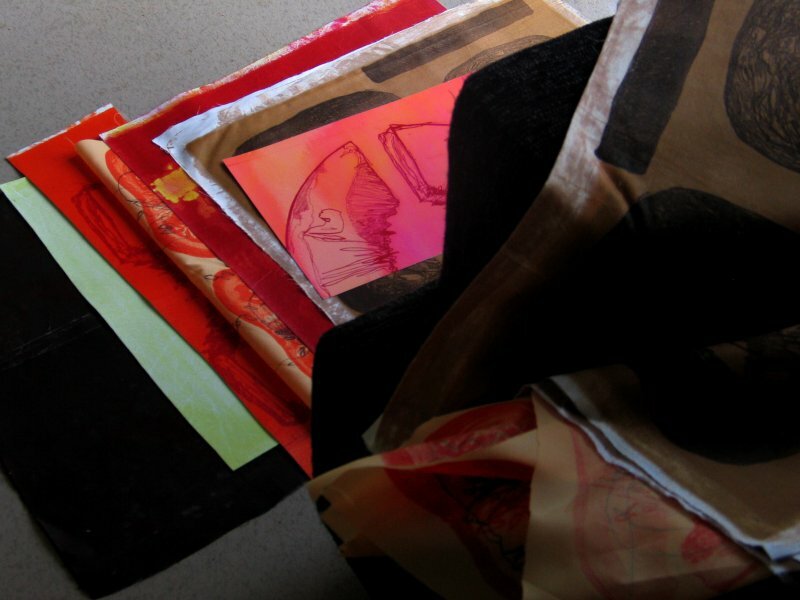 200 prints have been chosen from over 1000 submitted by 420 artists representing 25 countries. 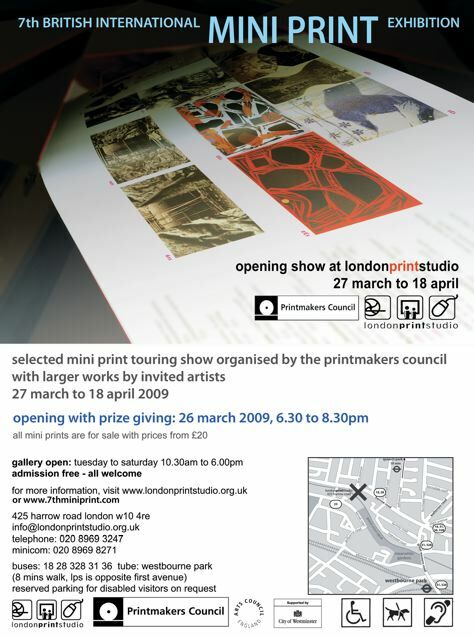 The exhibition will begin its UK and European tour at the London Print Studio in March 2009. That's right - Big Bertha has made the move from London to Amsterdam and she's ready to be completed, stretched and exhibited. Anyone interested in purchasing a 15 metre work of art?! I have found a job in Amsterdam which is on the same straat as AGA (my printing atelier) This means I am able to keep my creative juices flowing whilst working full time...These past weeks I've been spending my hour-long lunch break printing! These mini prints, or ''printjes'' are for the 7th British International Mini Print Exhibition which will begn its tour in early 2009. Fingers crossed I am selected! 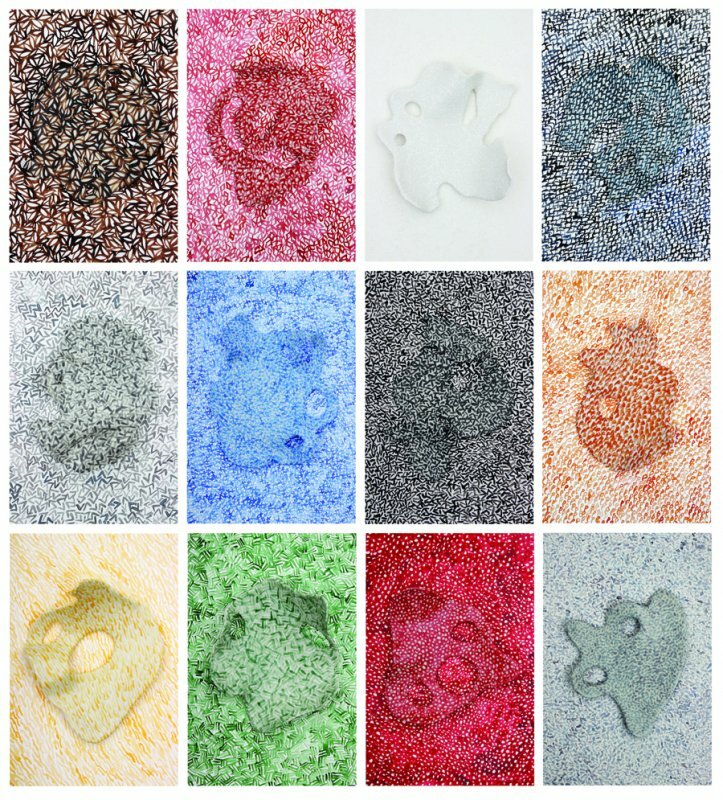 I've enjoyed working on a much smaller scale and have pushed the limits of lithography with a slow build up of 6-7 layers of colour on each image. 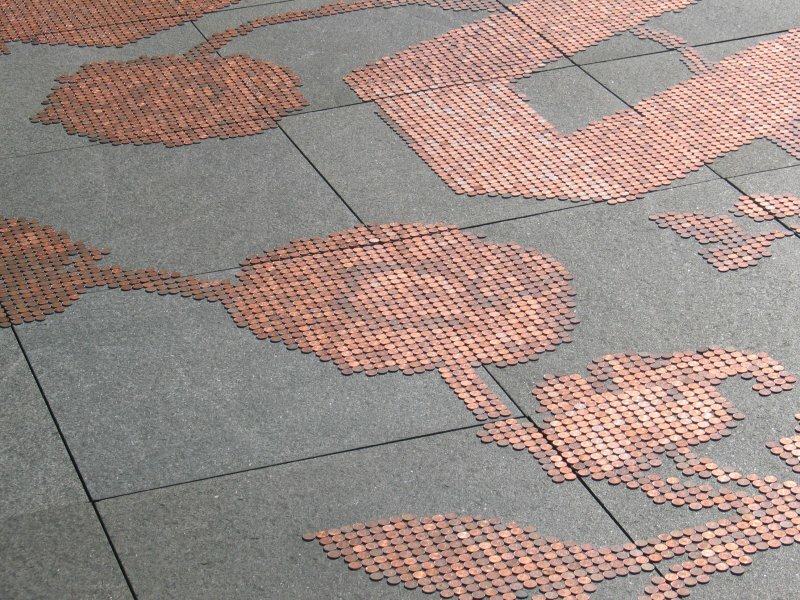 Harley and I spent an hour on an autumnal Zaterdag morning arranging een euro cent pieces according to Stefan Sagmeister's florally embellished typographic plan. 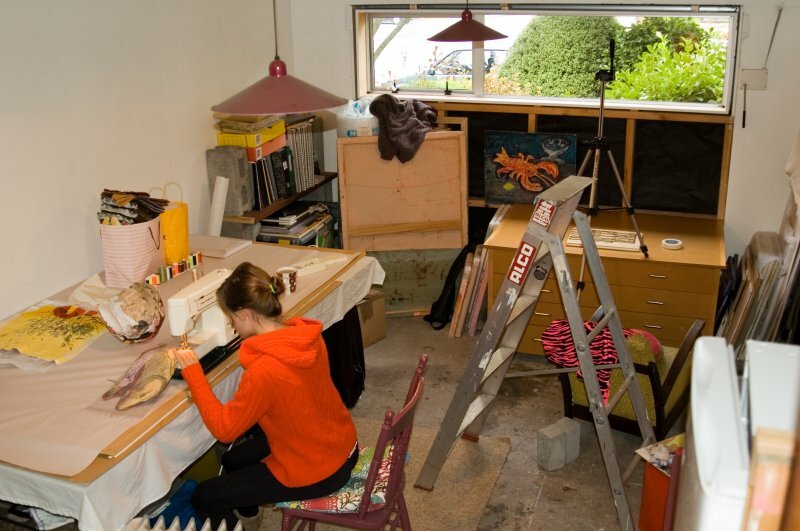 I have just started my year long membership at Amsterdams Grafisch Atelier! It is a joy to be drawing on stones again - and the mechanical grinder here shaves hours off stone preparation time. Talk about a lithographers heaven! I have just spent a week at Hovinkartano Art Centre (near Hauho in Finland) for an Artist's Symposium. Harley and I worked and lived together with 13 artists from across the globe, and produced three works for exhibition in the Centre. I won't miss the huge Finnish mosquitoes and lack of flushing toilets but I am already missing Riita's home cooking and the beautiful Hauho evenings. Click here for more examples of Harley's work. I have been awarded a residency at East London Printmakers in Hackney till mid-July and am working on an ambitious 15 metre print project lovingly coined 'Big Bertha'. 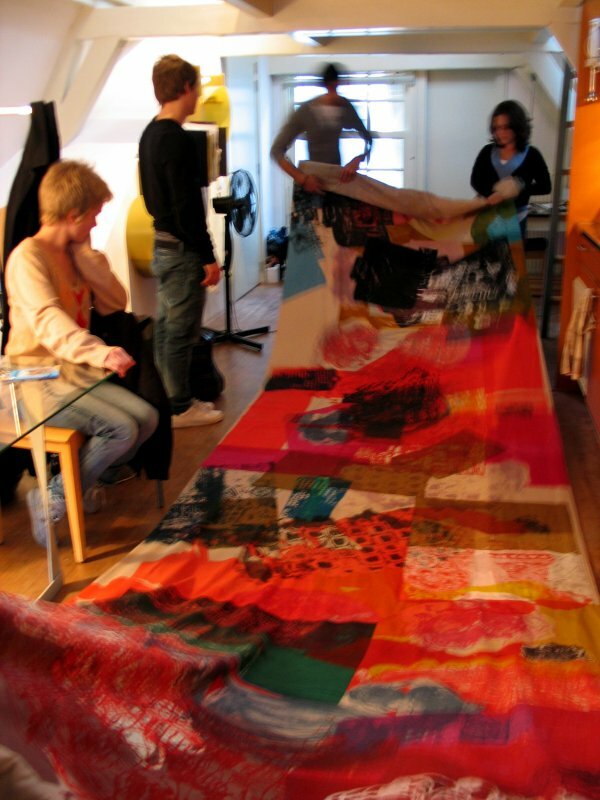 I have access to a wonderful silkscreen fabric printing table and am meeting a diverse group of London Printmakers.